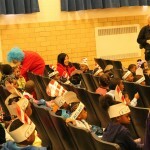 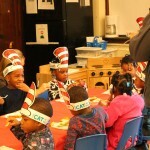 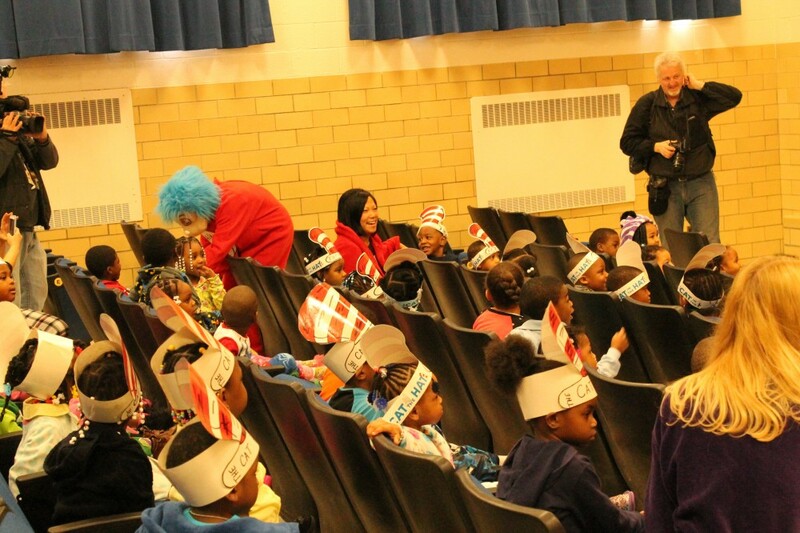 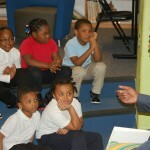 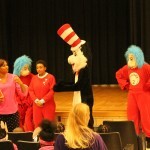 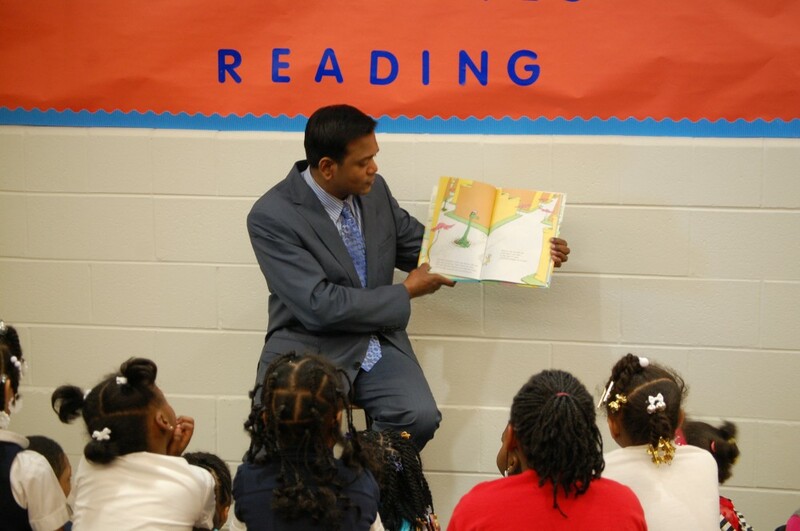 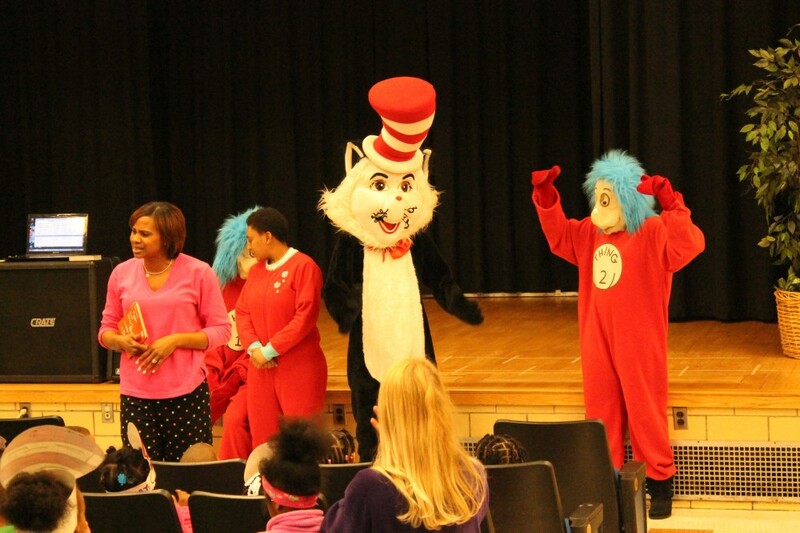 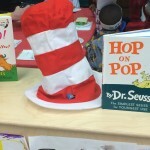 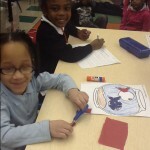 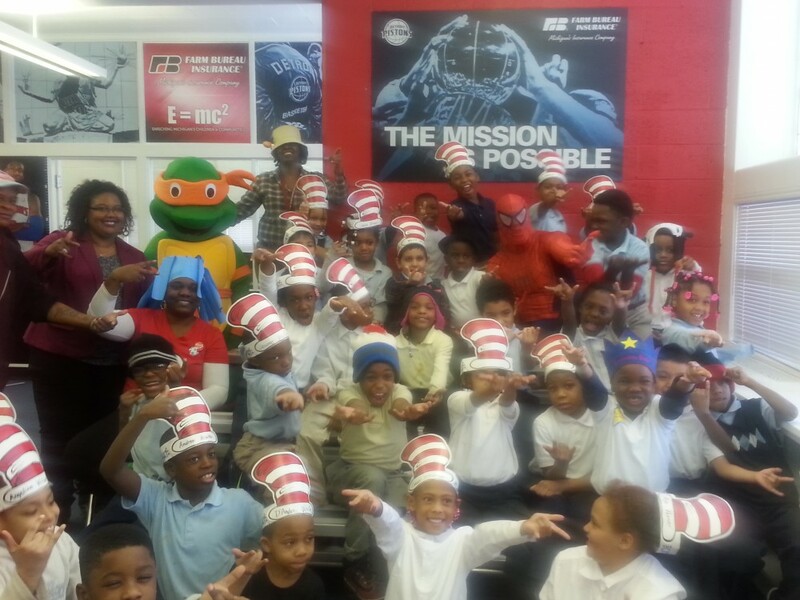 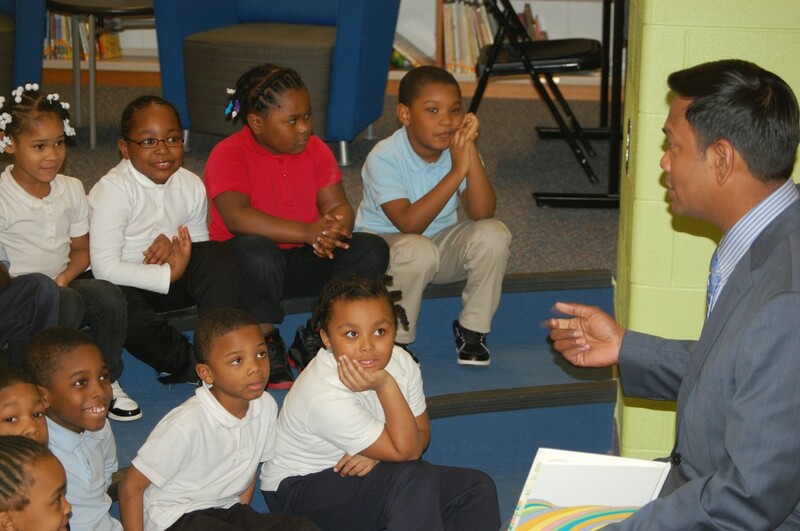 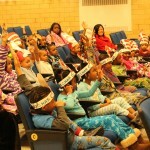 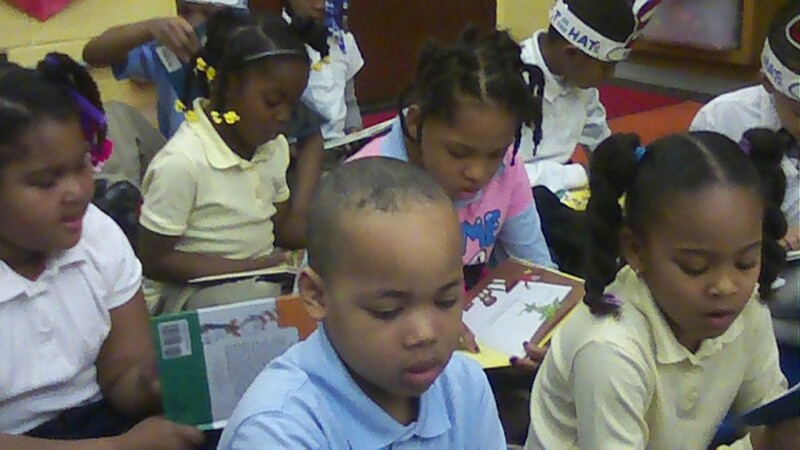 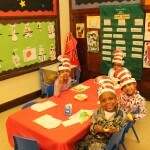 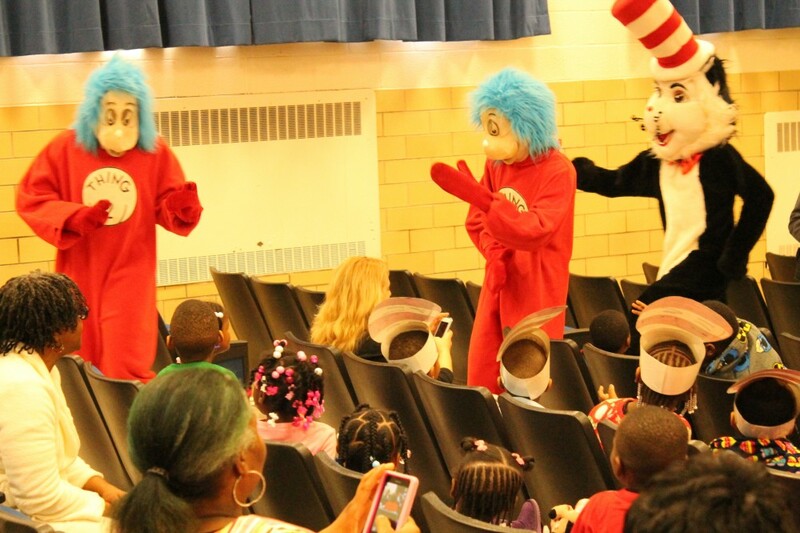 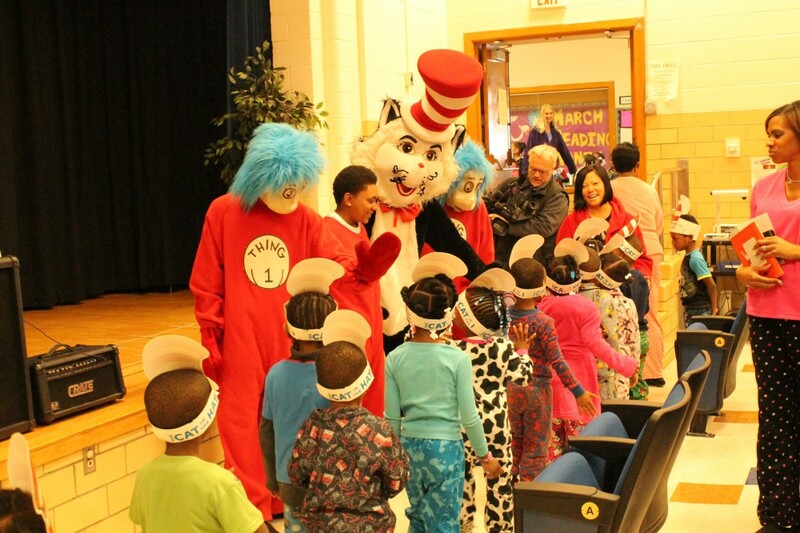 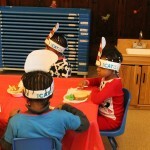 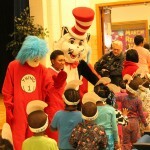 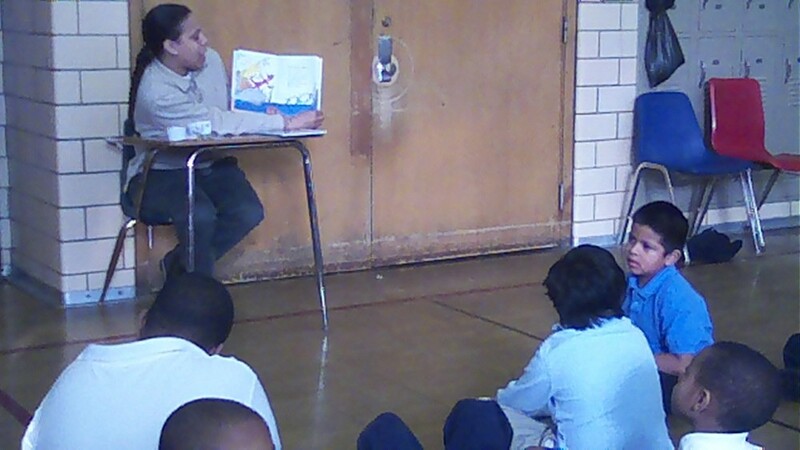 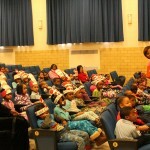 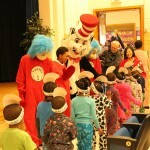 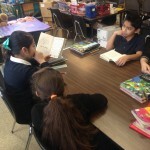 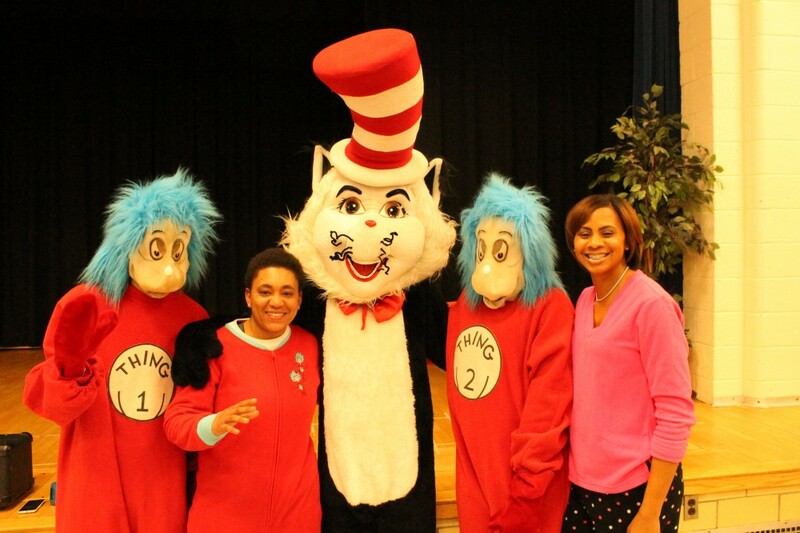 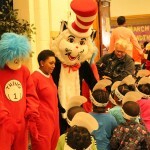 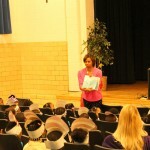 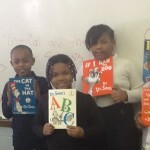 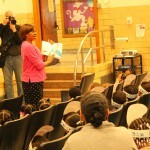 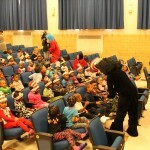 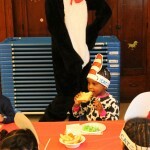 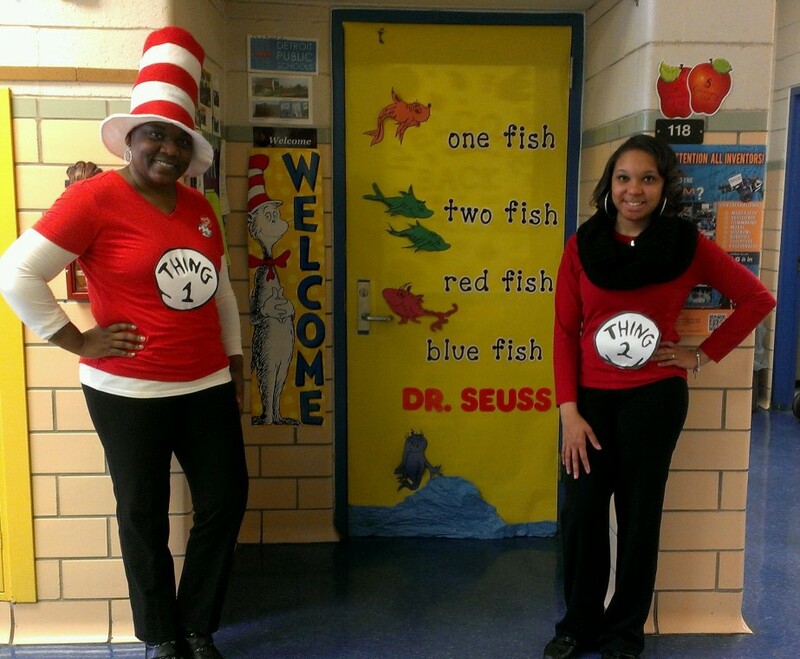 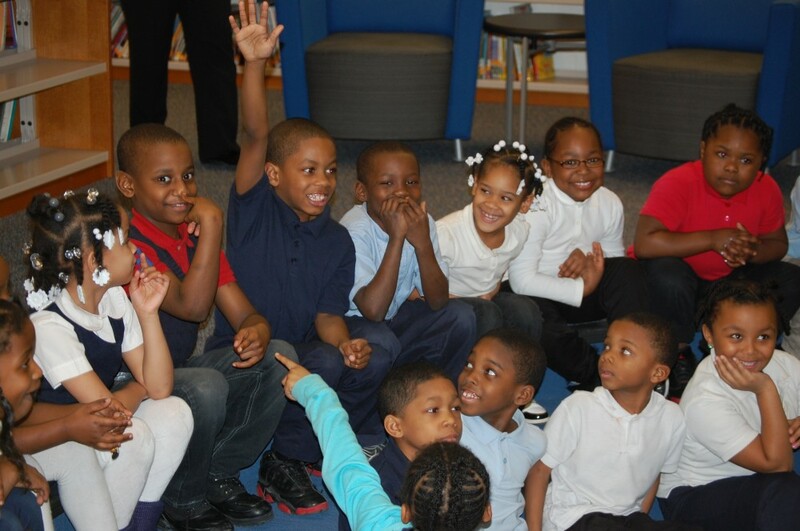 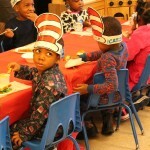 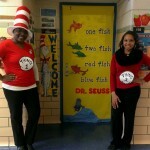 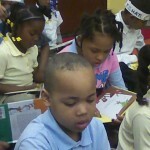 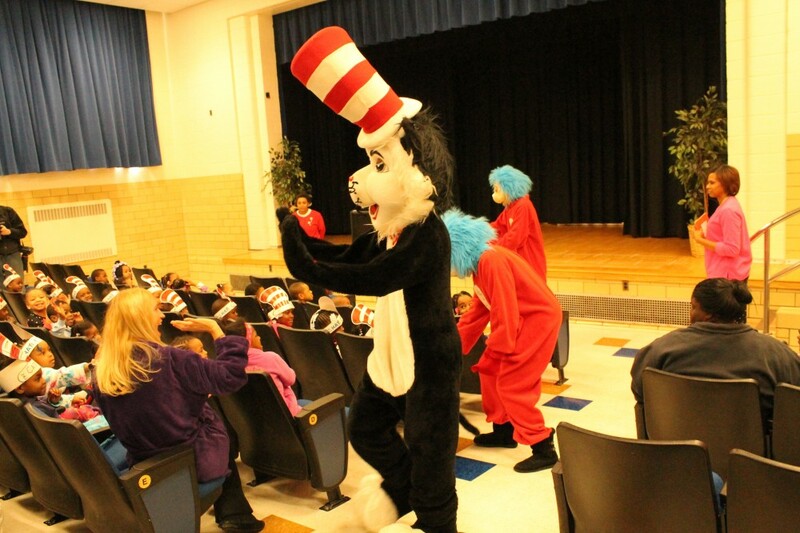 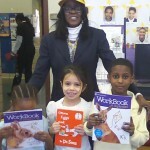 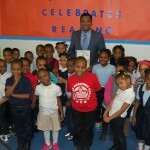 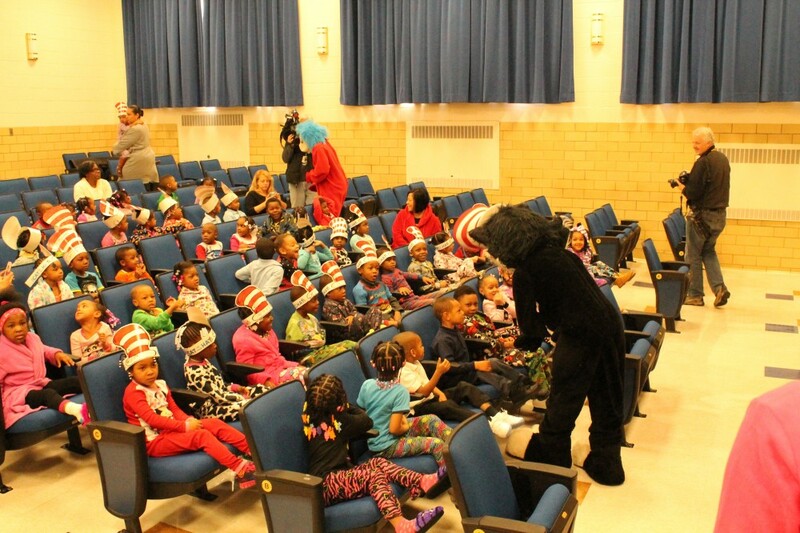 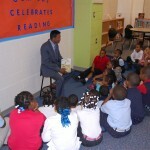 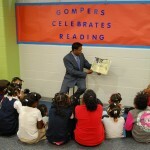 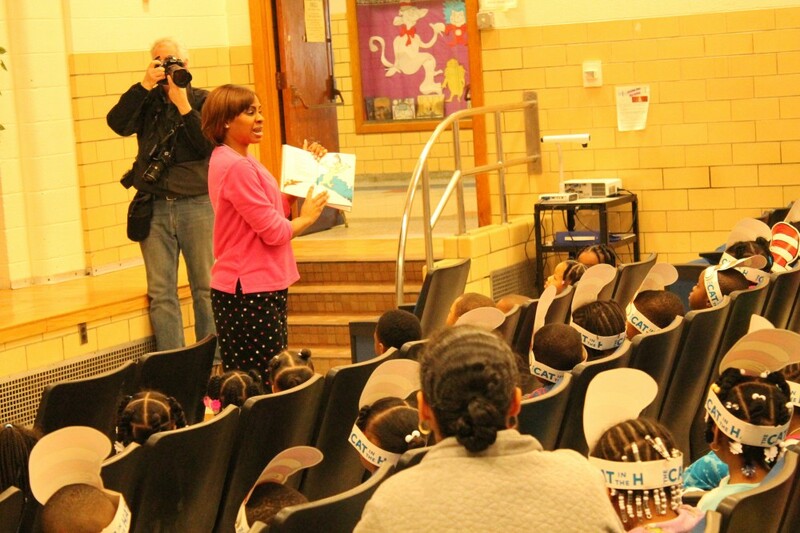 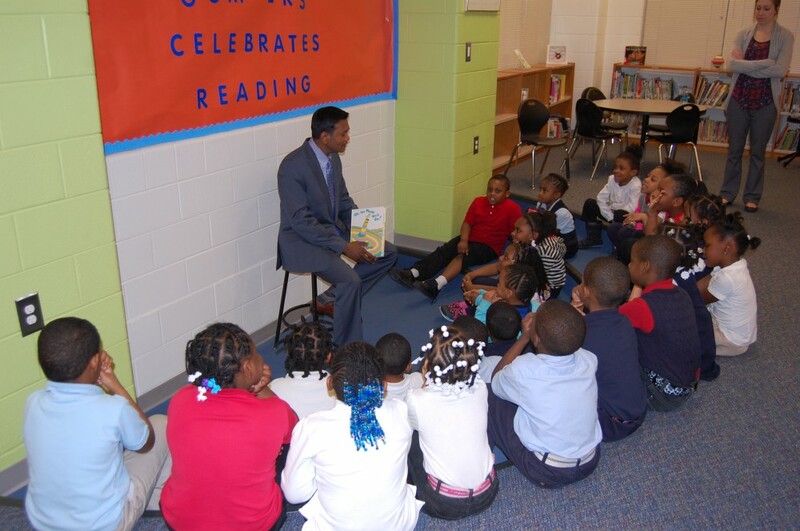 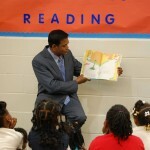 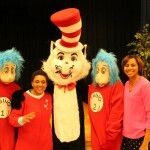 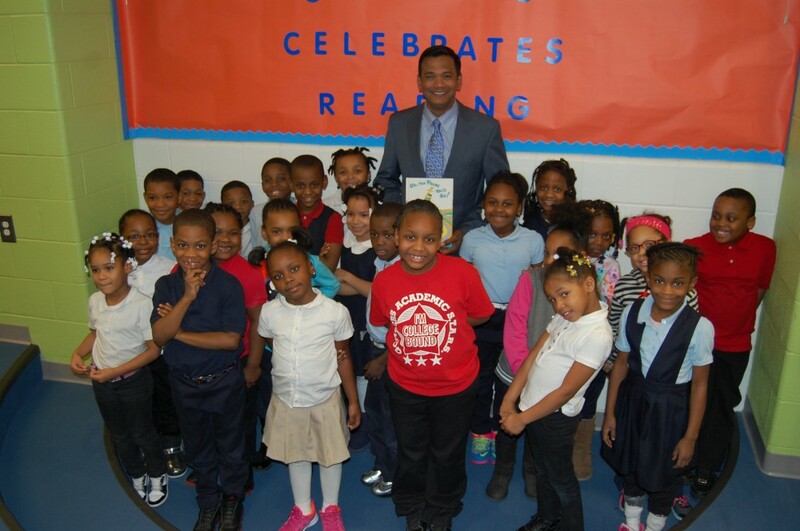 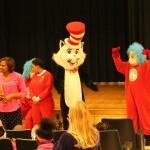 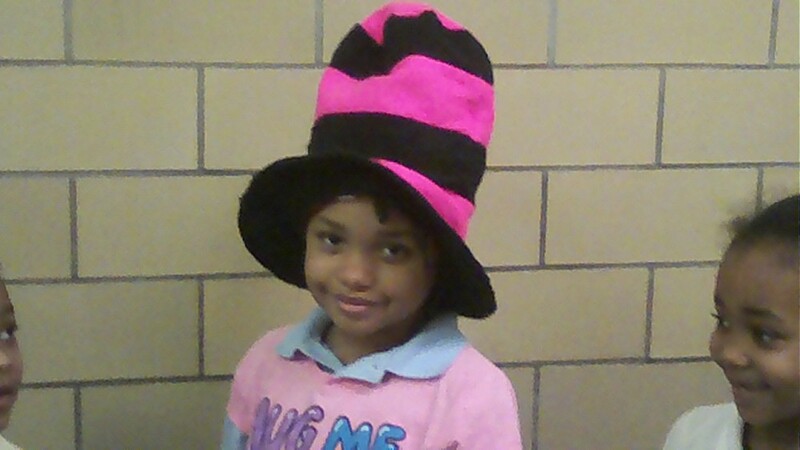 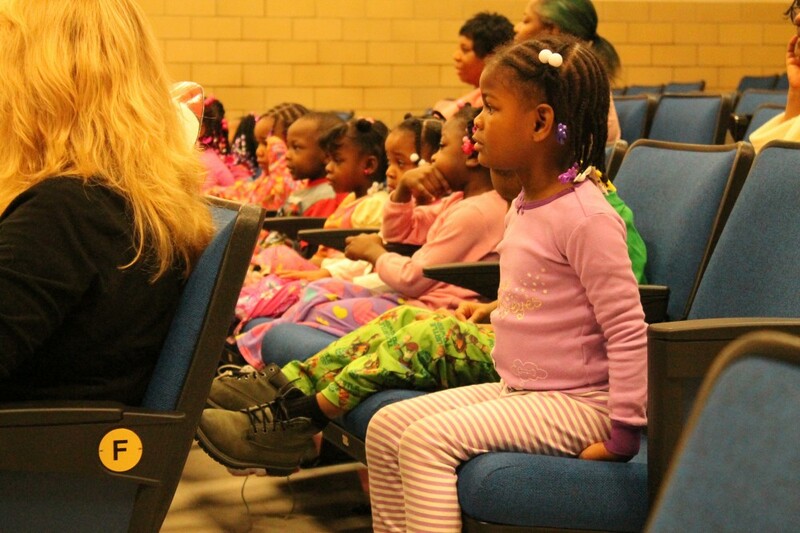 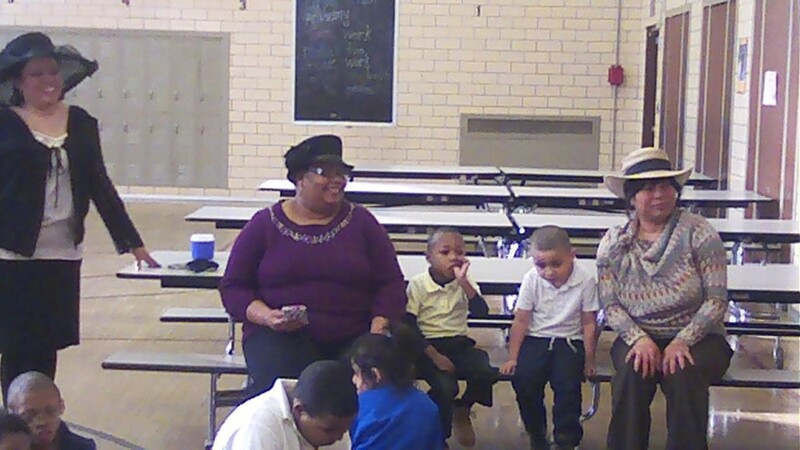 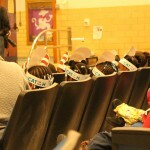 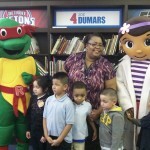 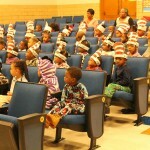 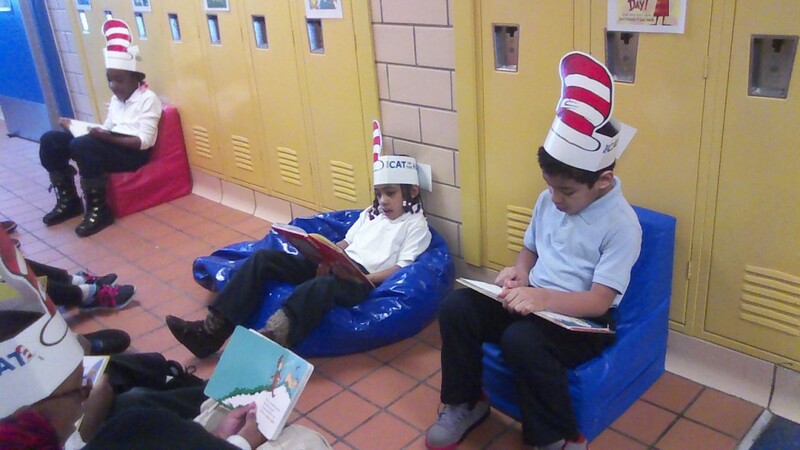 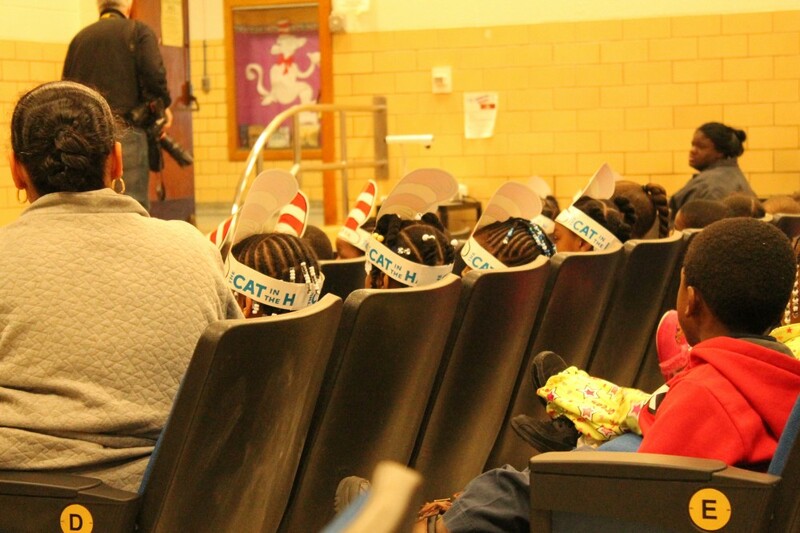 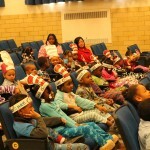 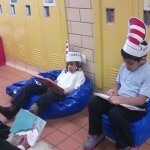 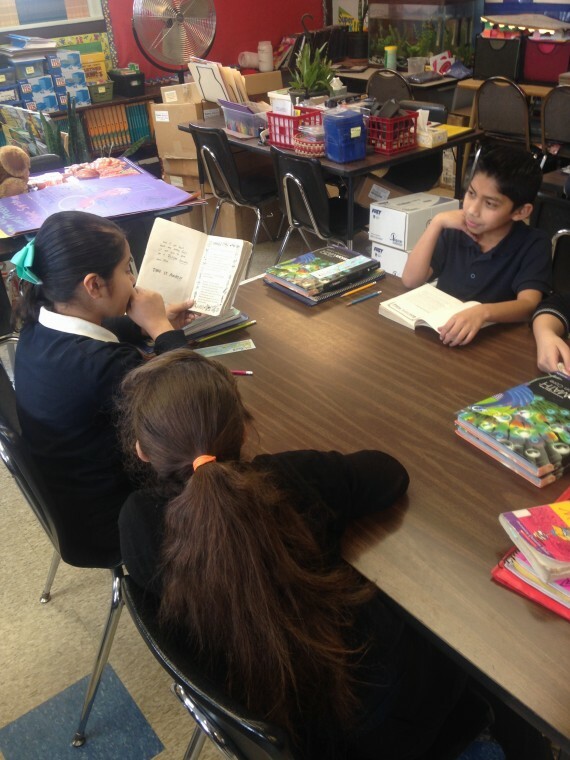 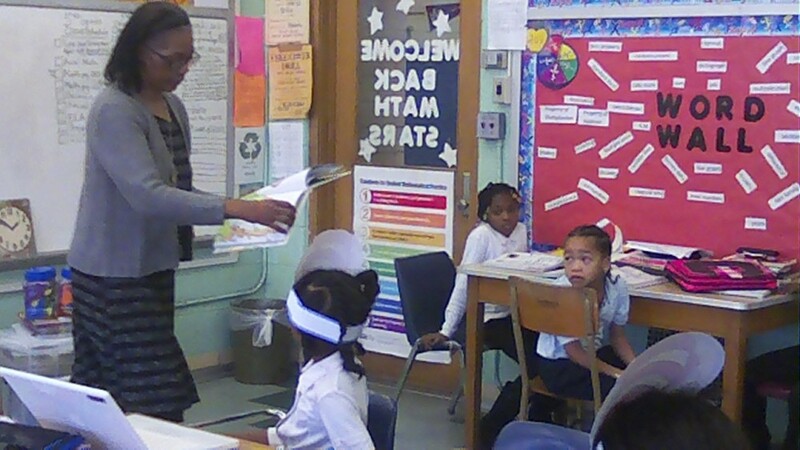 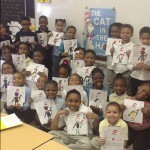 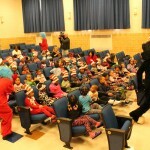 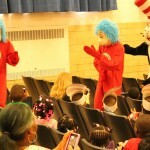 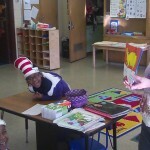 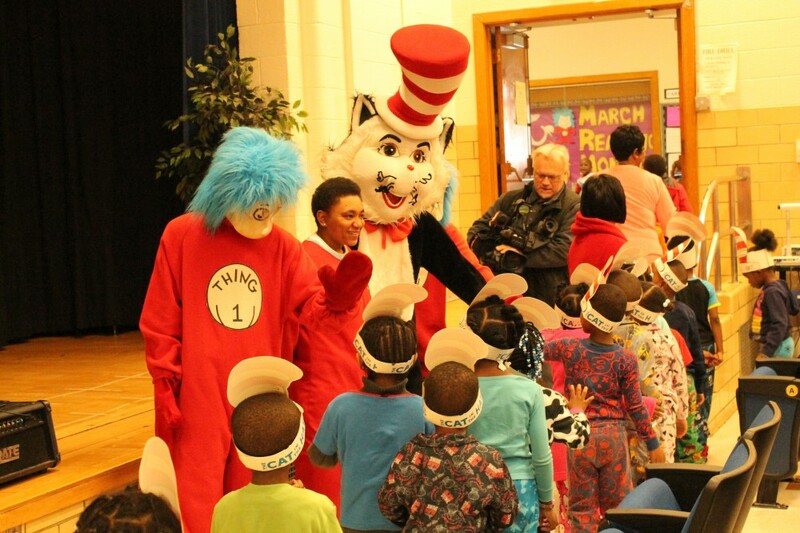 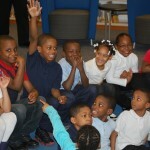 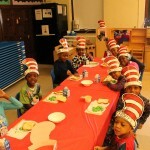 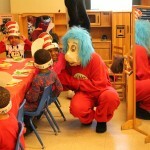 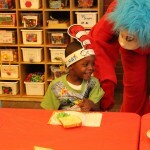 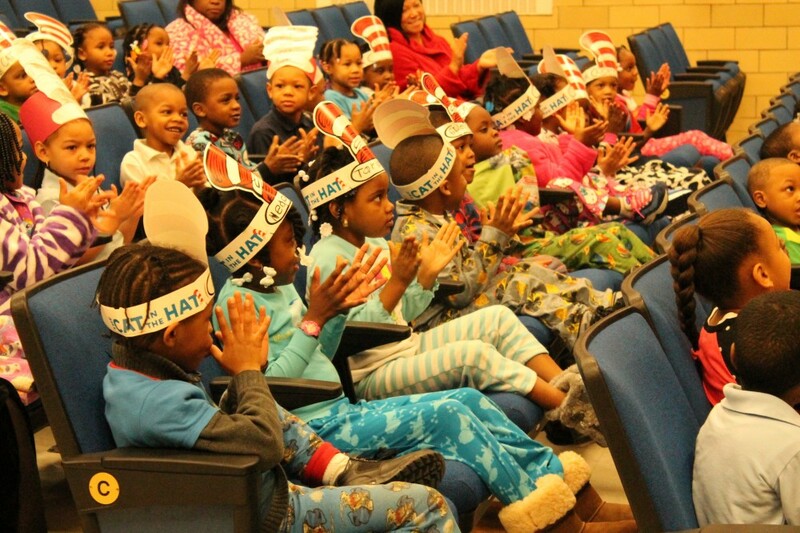 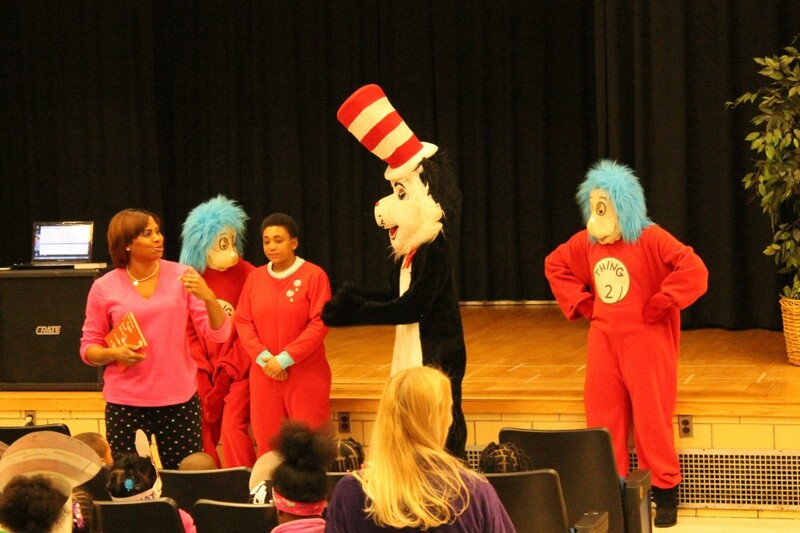 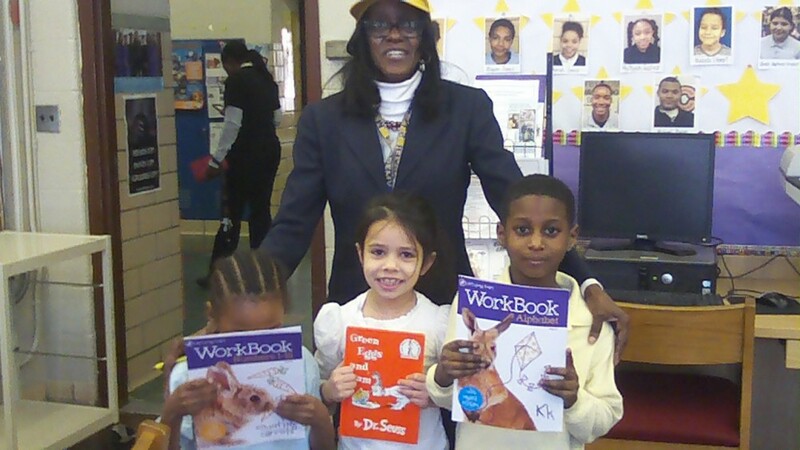 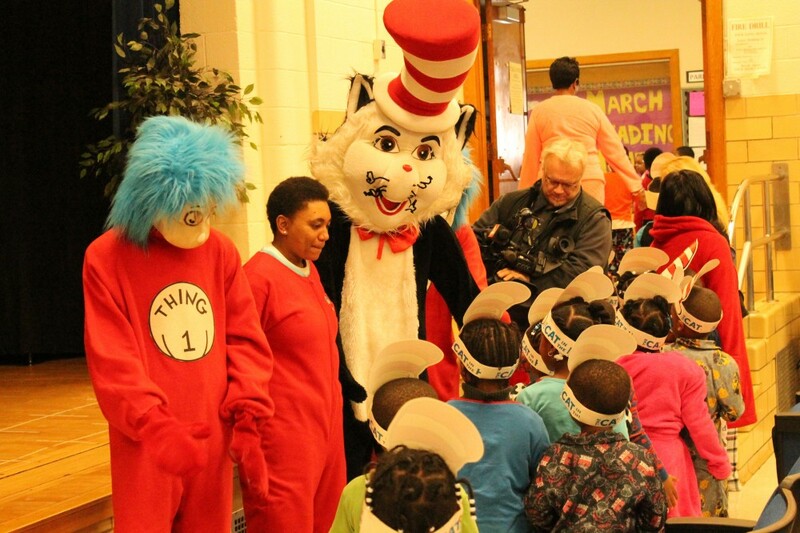 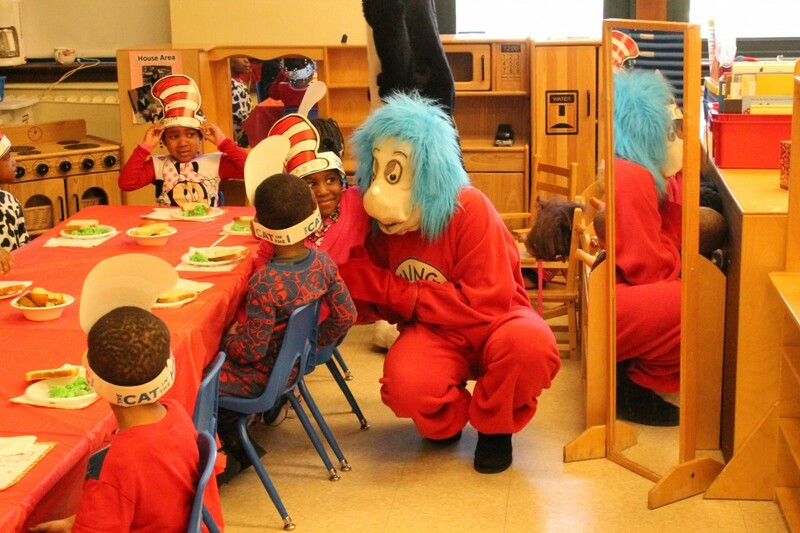 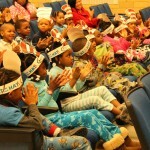 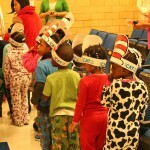 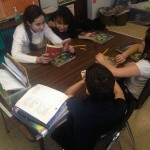 Detroit Public Schools and the Office of Literacy kicked off hundreds of reading and literacy activities to celebrate “March is Reading Month” on Monday, March 2. 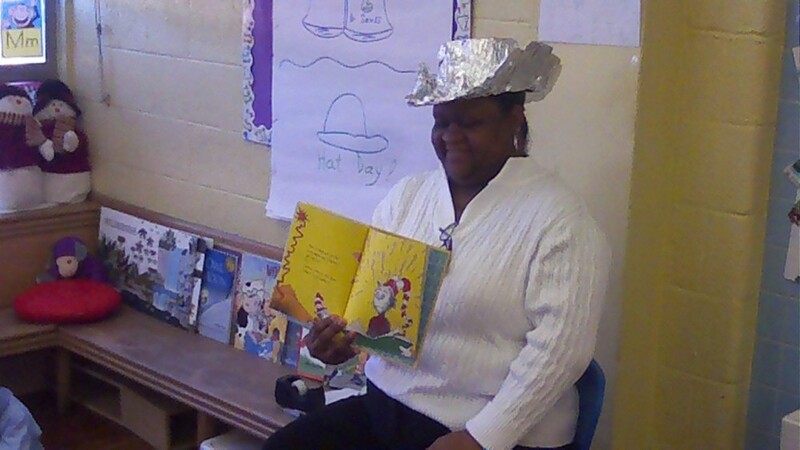 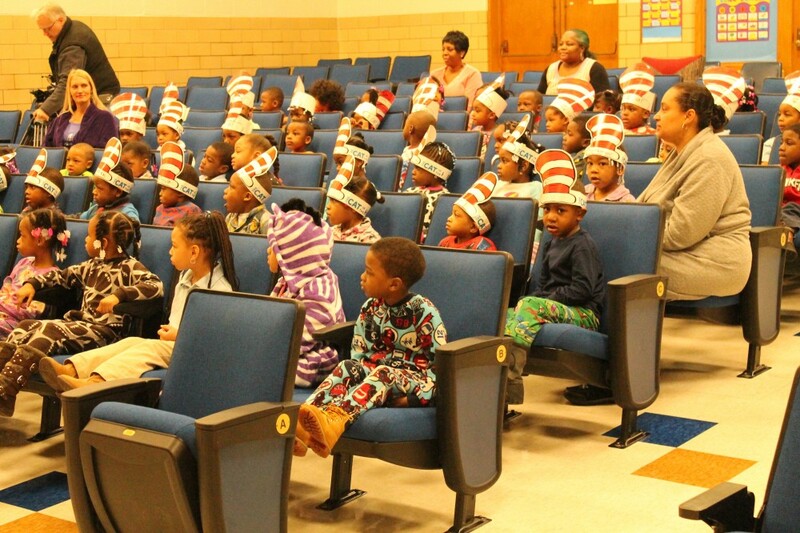 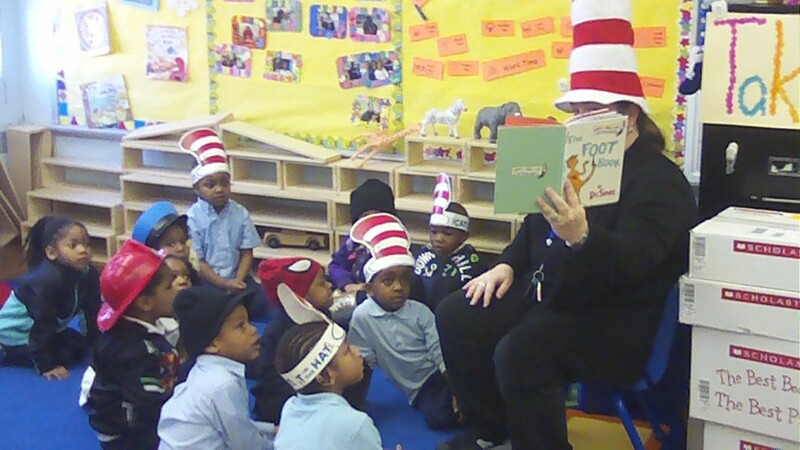 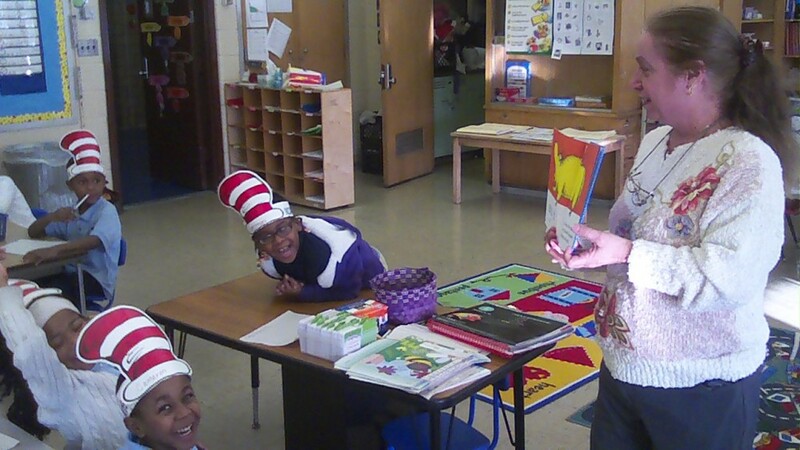 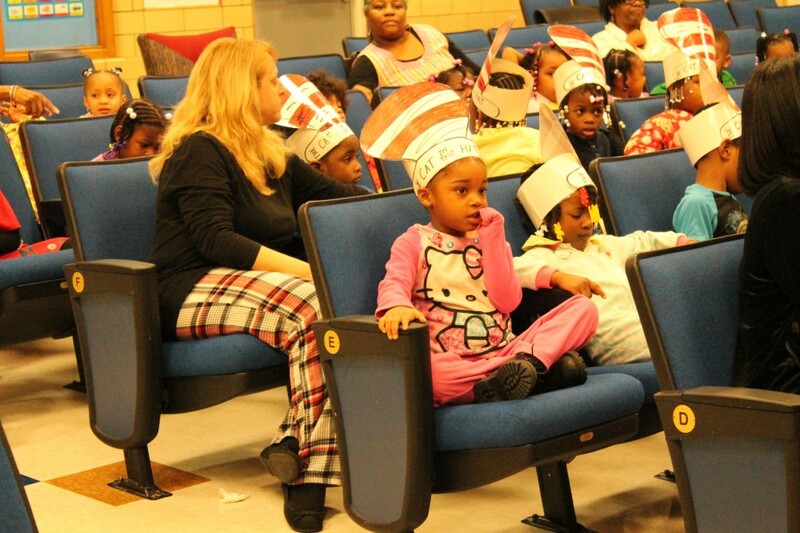 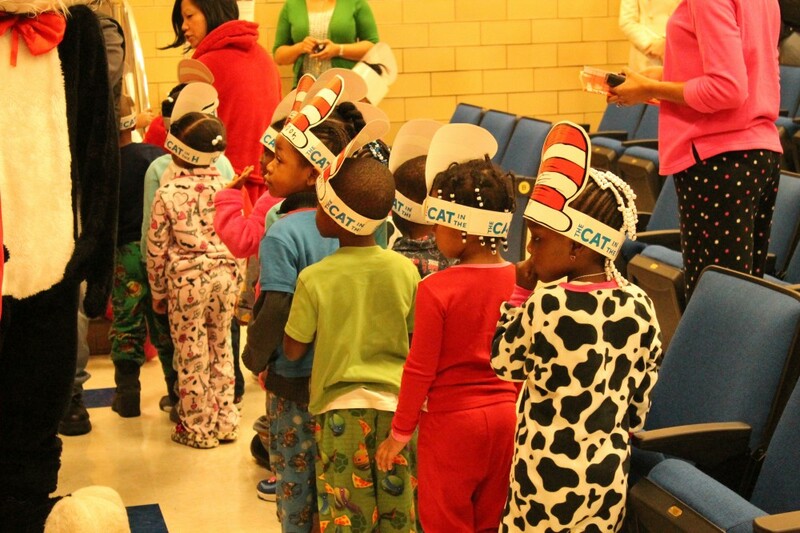 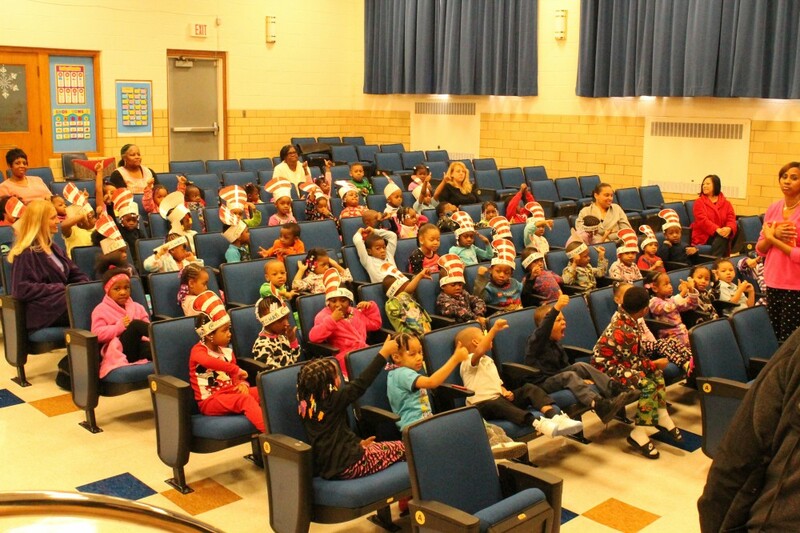 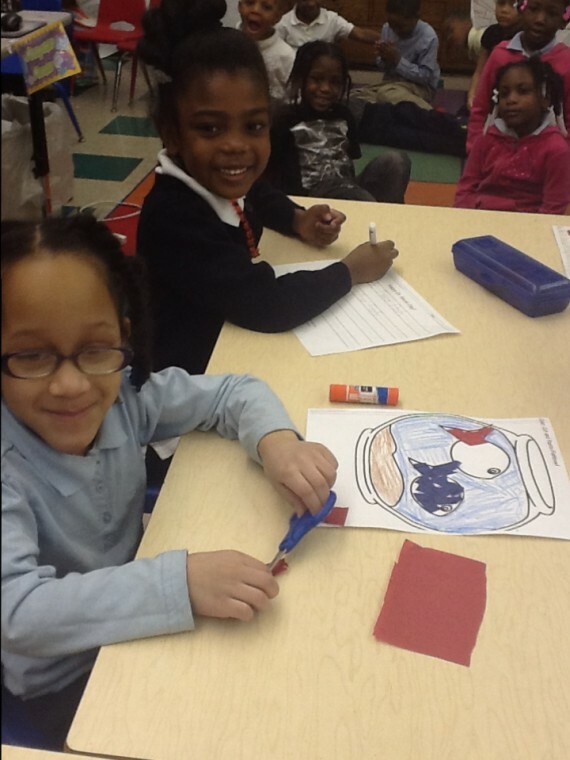 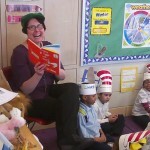 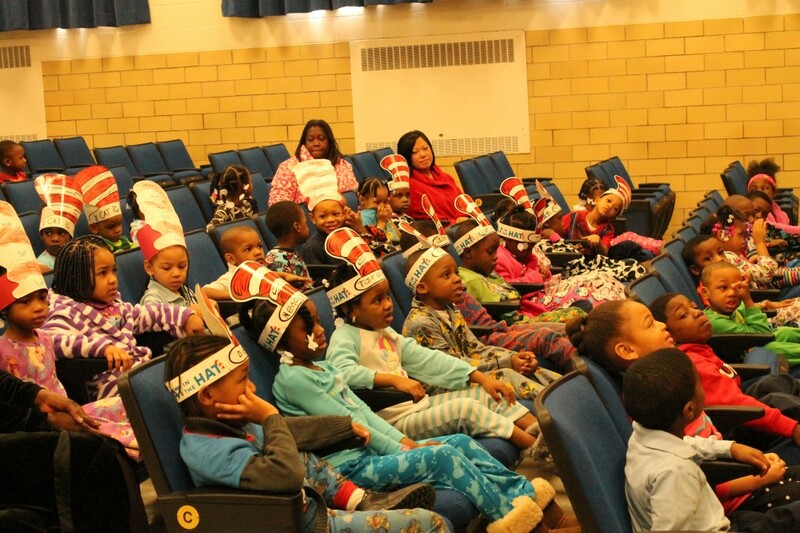 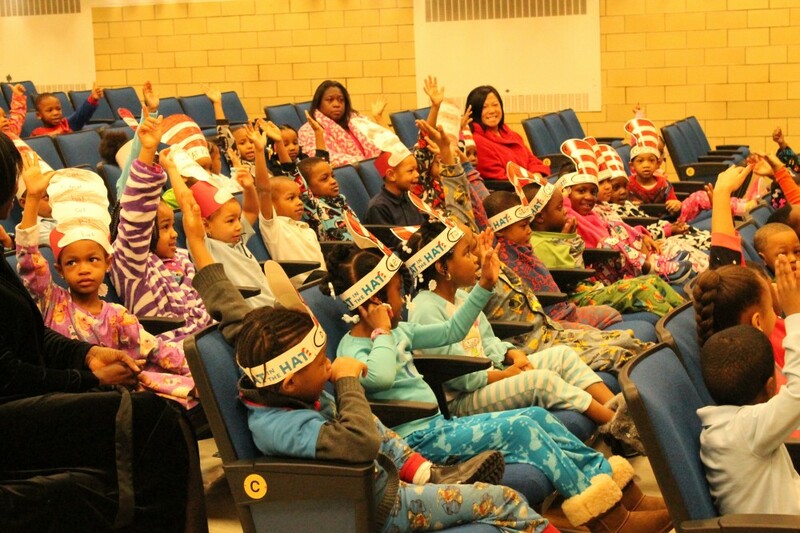 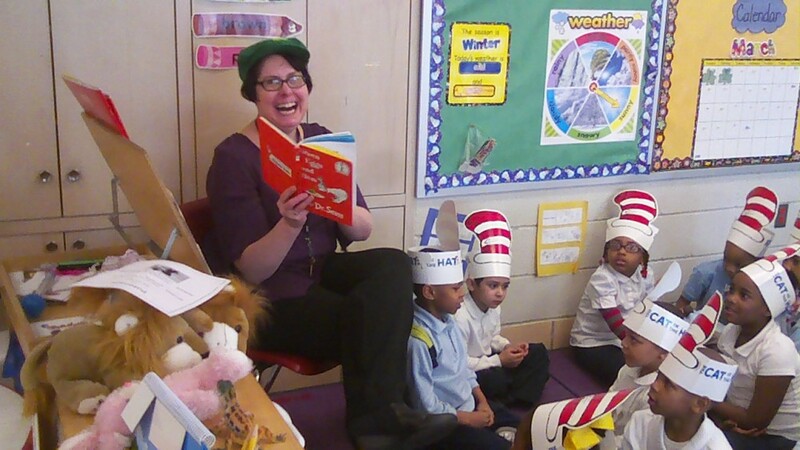 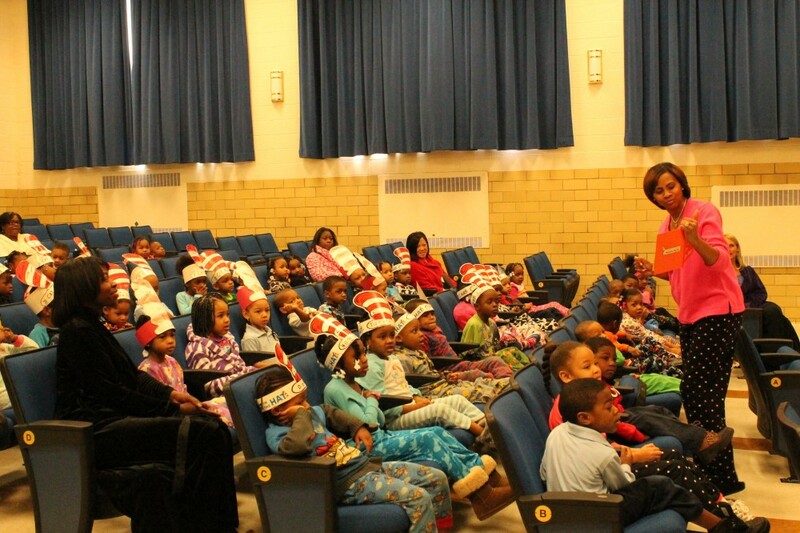 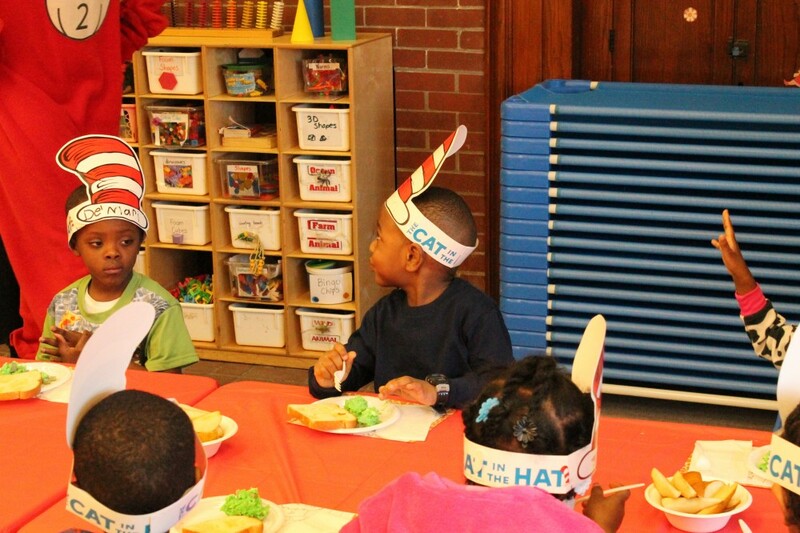 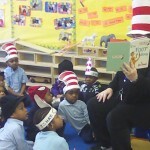 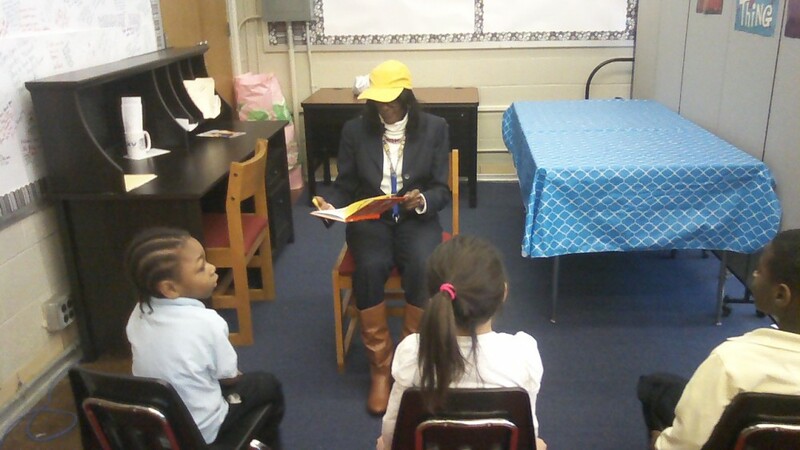 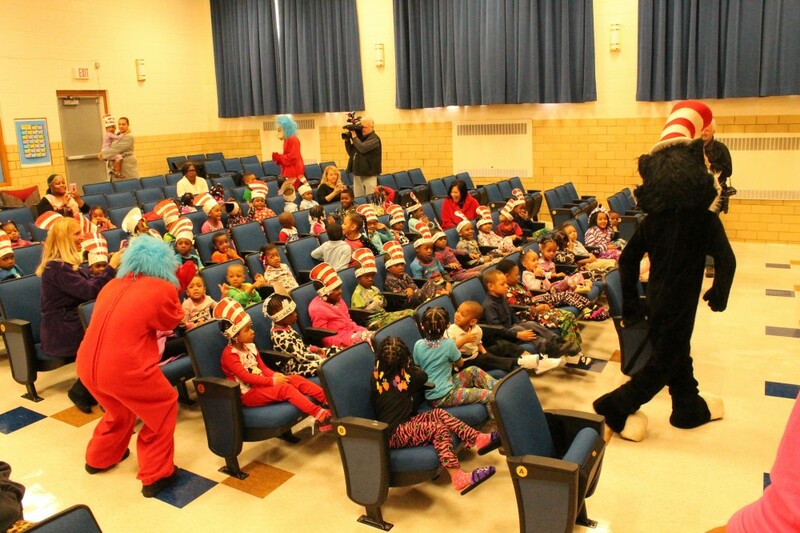 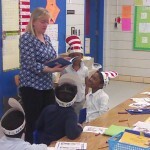 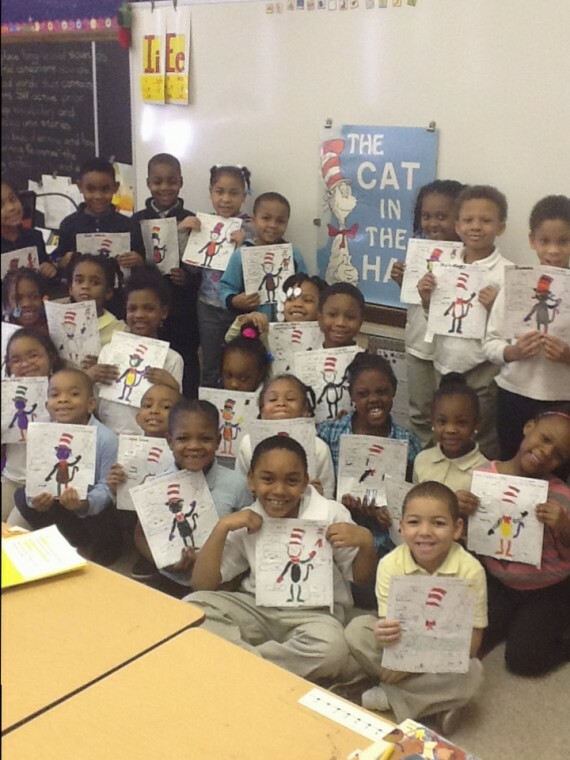 Ronald Brown Academy Principal Georgina Tait started the month-long reading initiative by celebrating Dr. Seuss’ Birthday and reading “Green‎ Eggs and Ham” to the pre-kindergarten students. 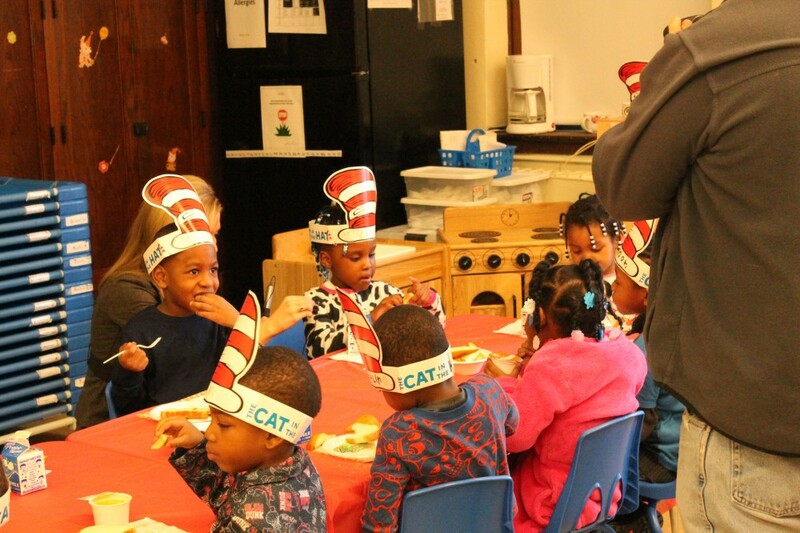 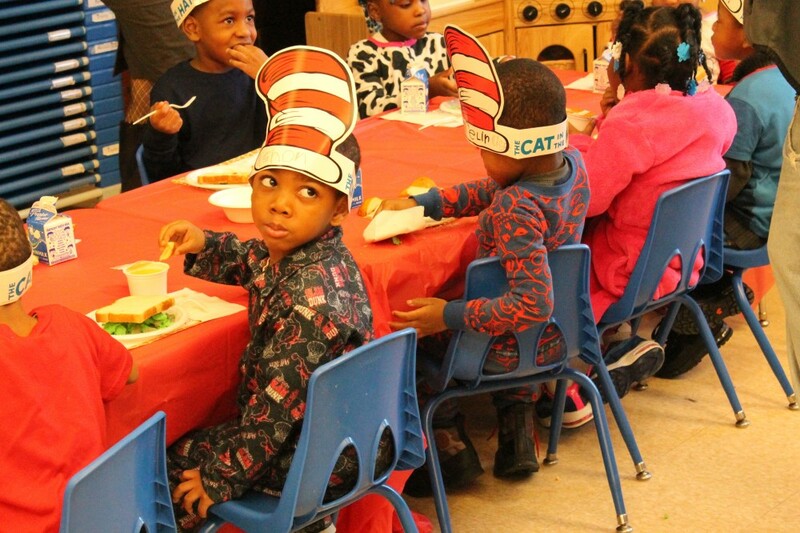 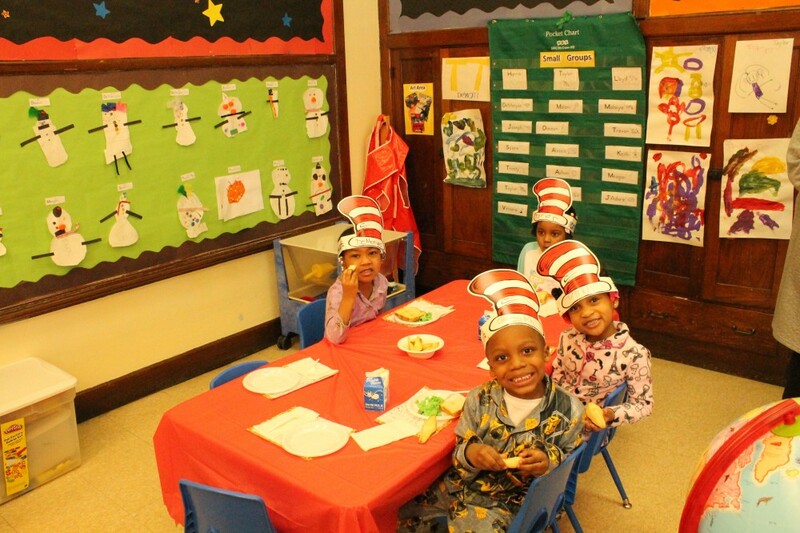 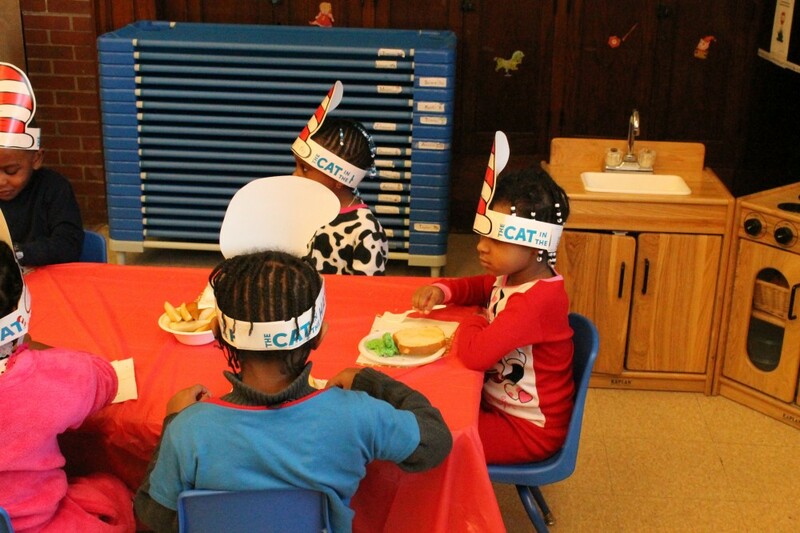 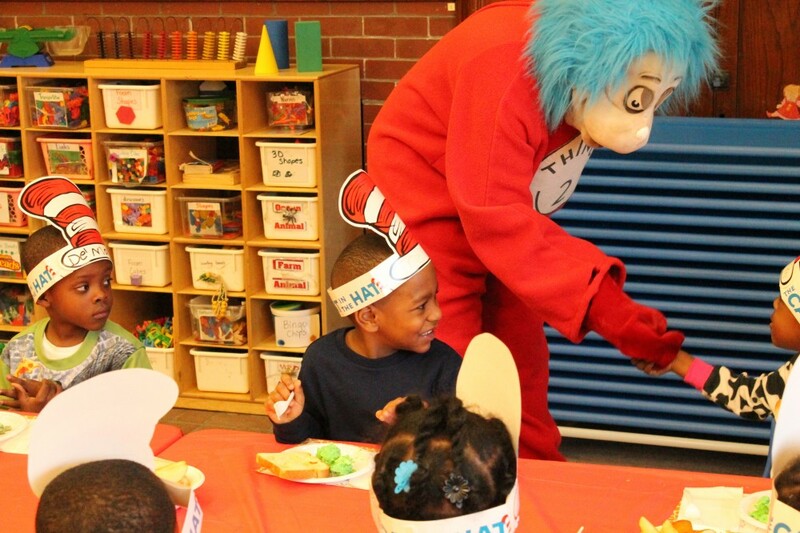 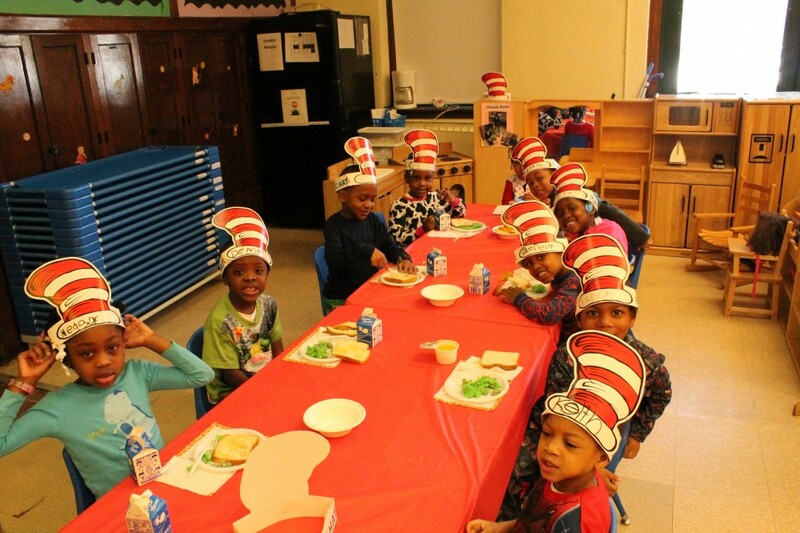 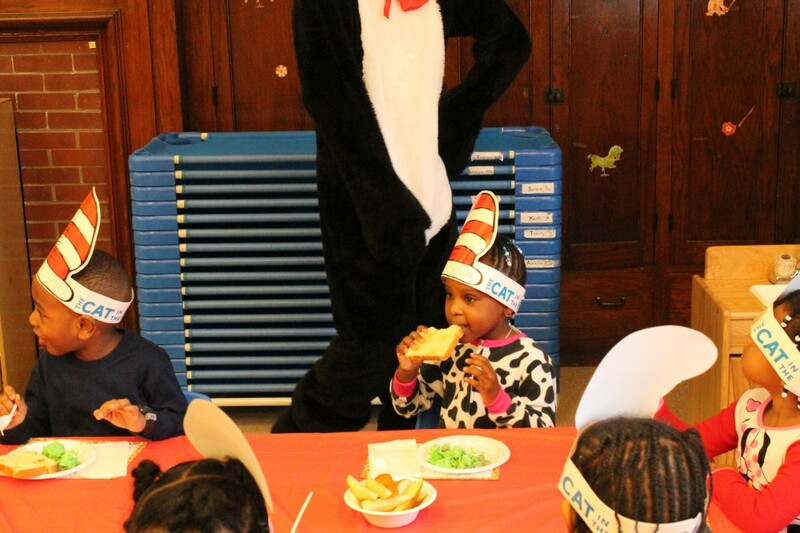 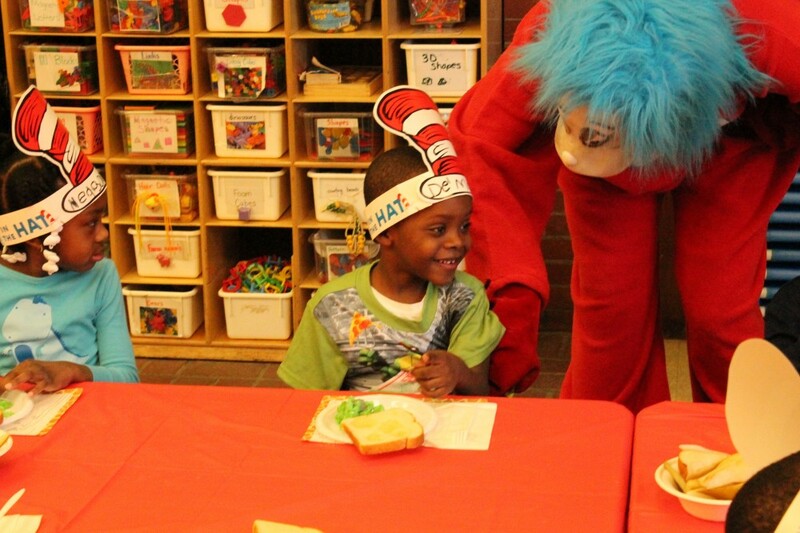 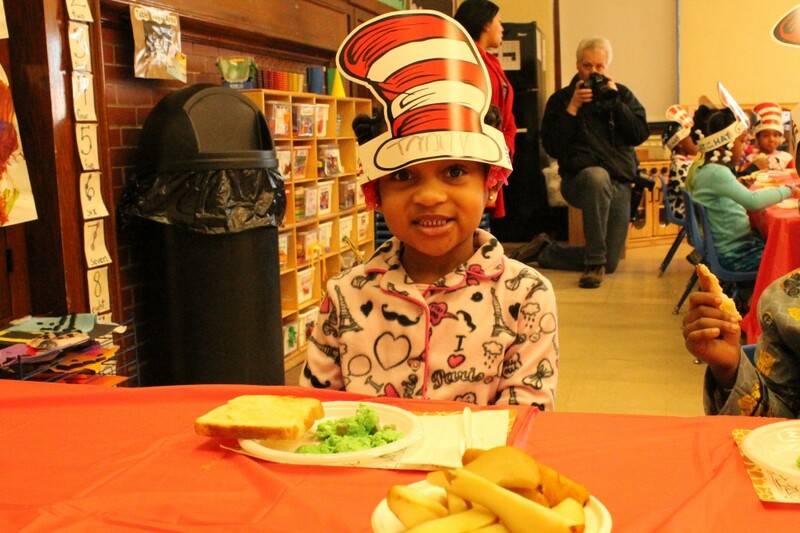 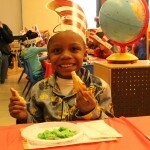 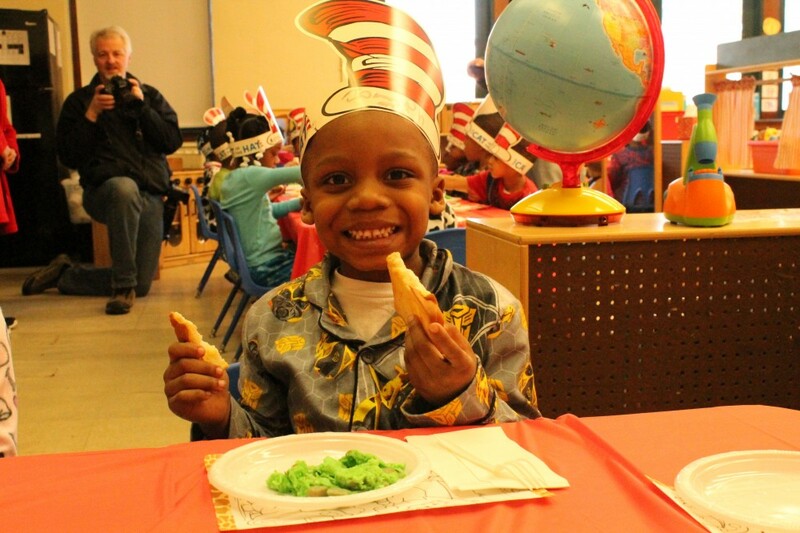 After the reading, the Pre-K students returned to their individual classrooms to eat a specially-prepared breakfast of green eggs and ham! 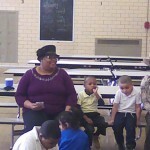 At Carver S.T.E.M. 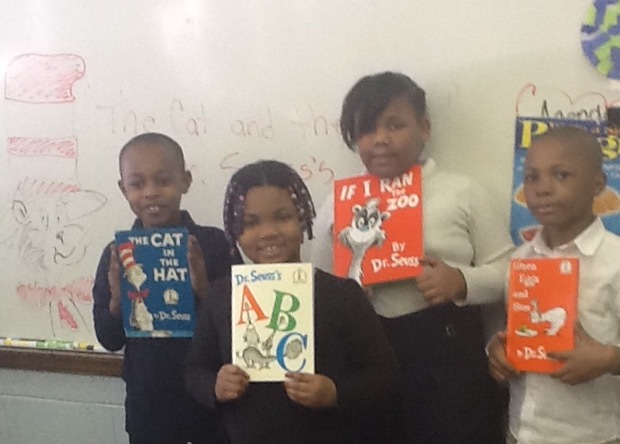 Academy everyone was asked to Drop Everything and Read (D.E.A.R.)! 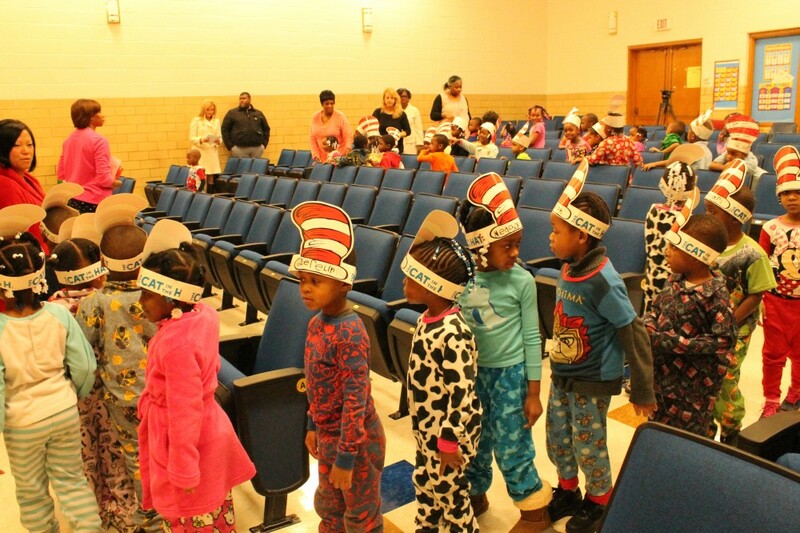 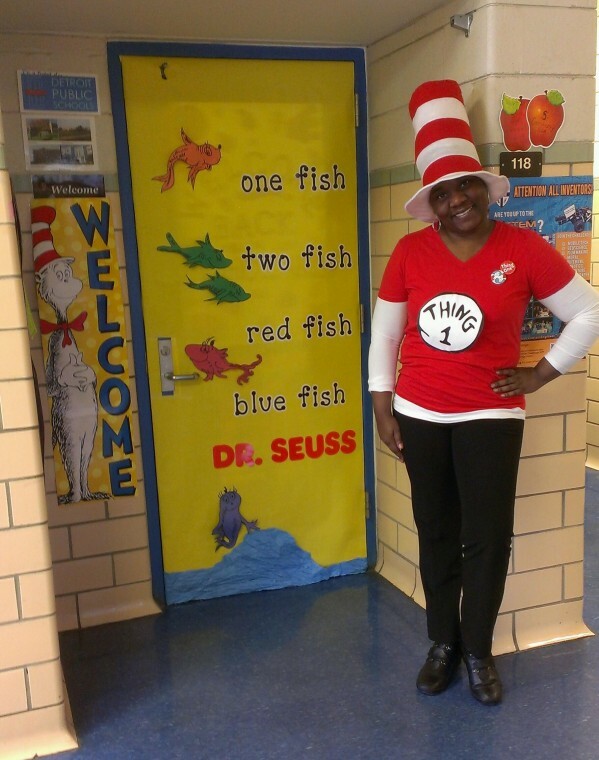 Instructional Specialist Tricia Barnes coordinated the event and was happy to see all of the young scholars, from ages 4-13, use their active listening skills to hear all of the Dr. Seuss collections. 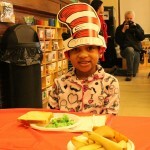 “This was better than any Christmas gift,” Barnes expressed as she went from room to room taking photos. 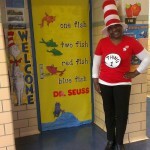 “Our staff and students are the best!” is what Mrs. Barnes expressed when she saw the looks on the faces of the children, administrators, and staff. 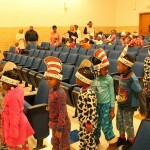 Carver is hoping to make this an annual event next year and involve the parents and community partners as well. 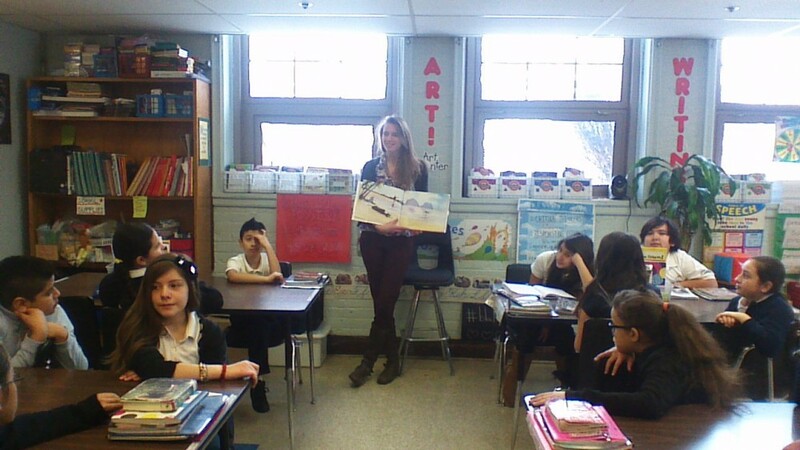 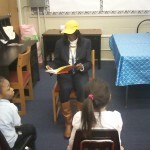 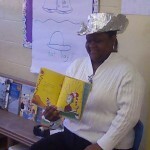 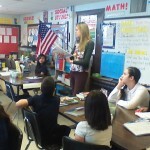 To celebrate reading month Candace Graham, one of the Reading Recovery Teachers at Carver S.T.E.M. 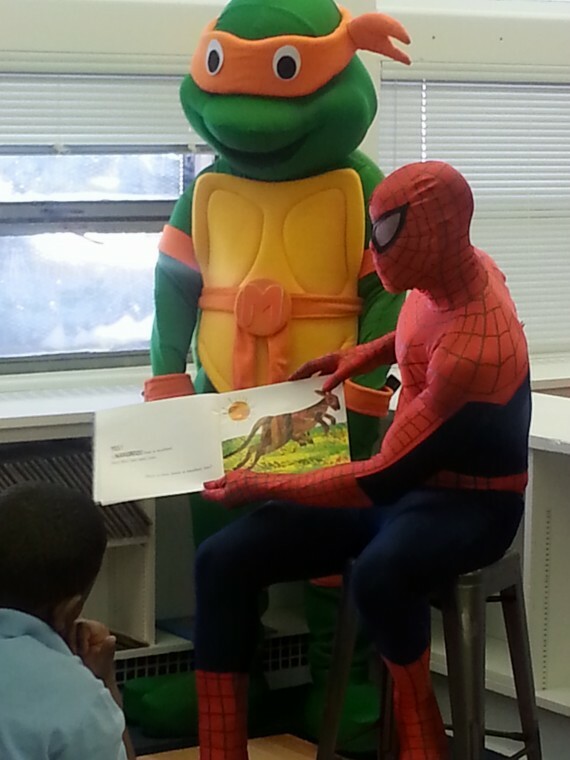 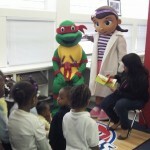 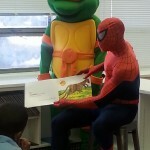 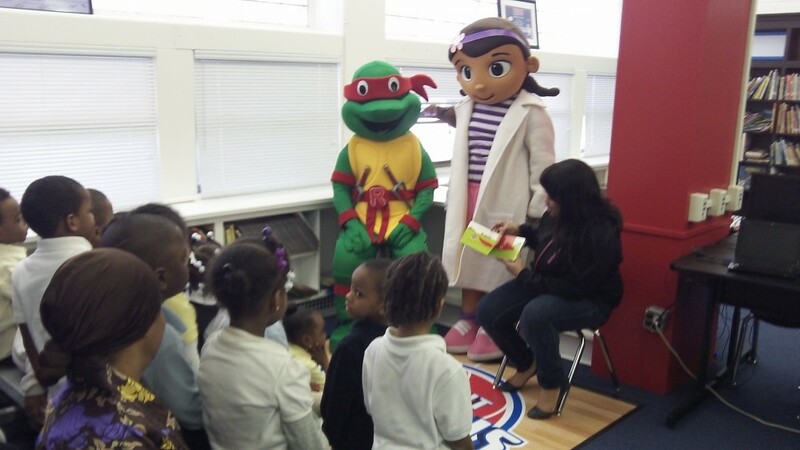 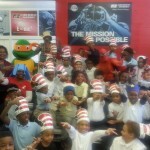 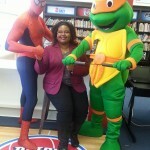 Academy, invited Michelangelo of the Teenage Mutant Ninja Turtles and Spiderman to be guest readers for both first and second grade. 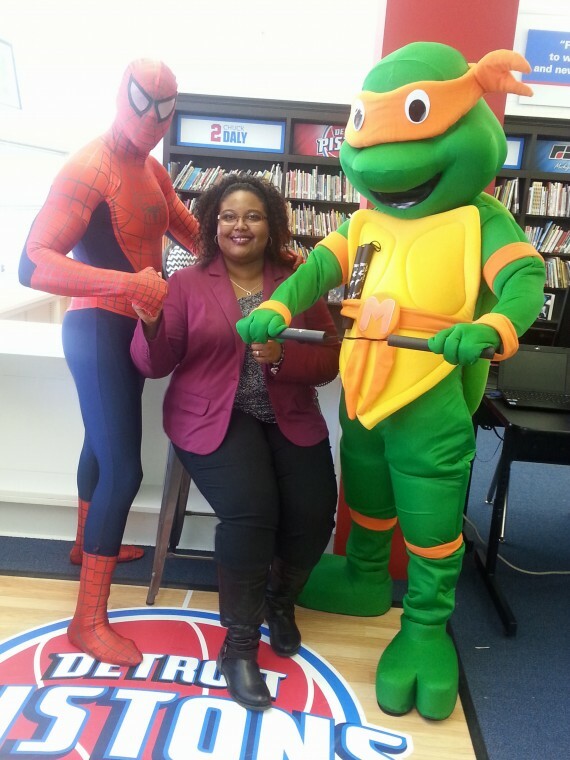 Ms. Graham wanted the students at Carver to see that reading is cool and even superheroes read too! 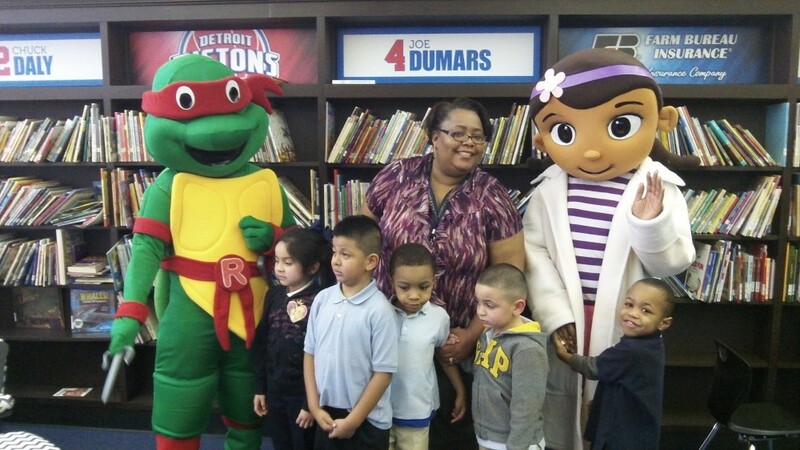 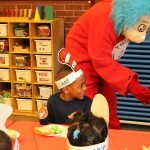 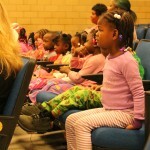 Doc McStuffins has even paid a visit to Carver students and staff. 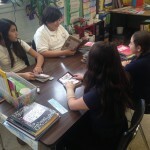 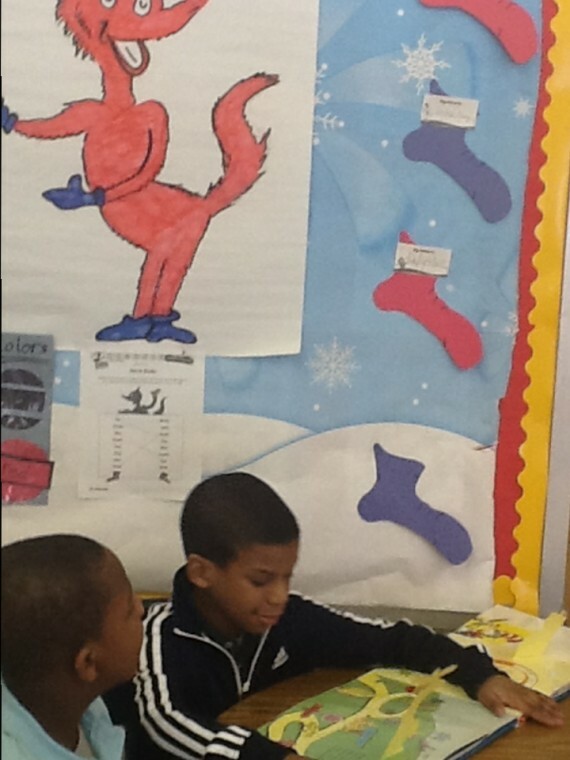 The day consisted of many different activities in the classrooms. 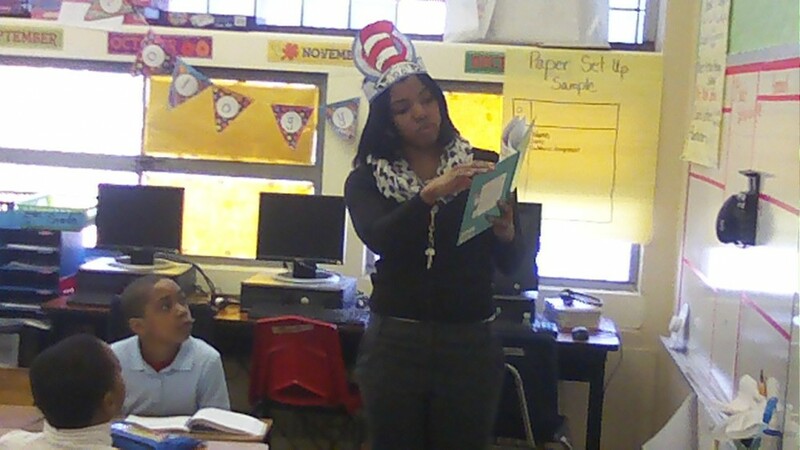 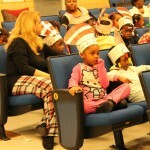 There was story read aloud, literacy games, cross-curricular activities, poetry and arts and crafts. 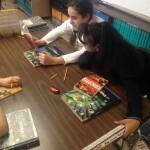 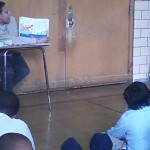 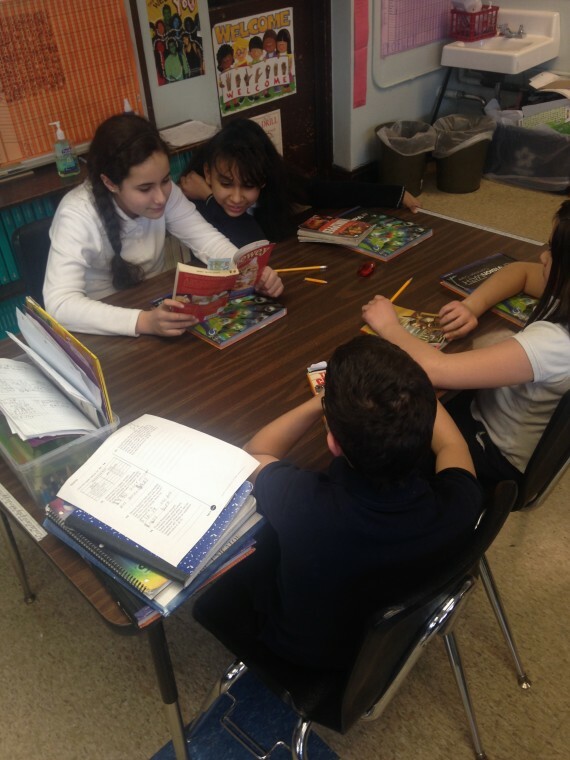 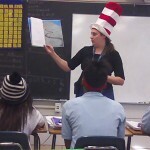 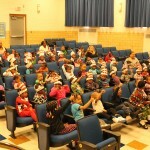 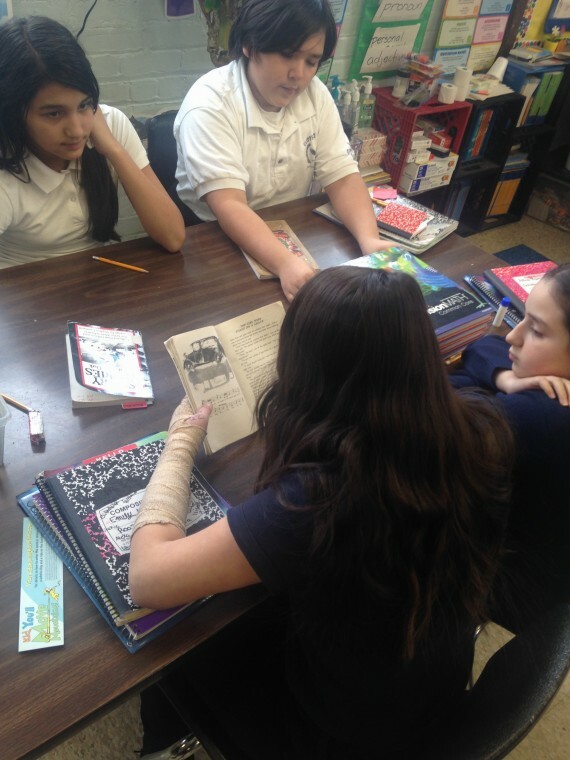 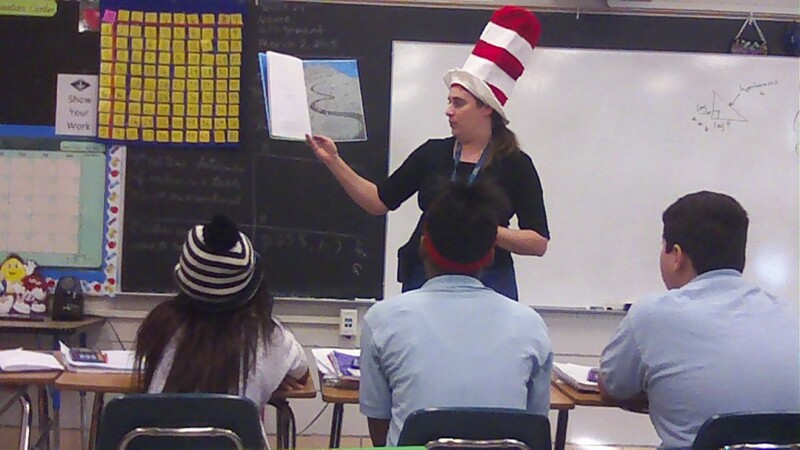 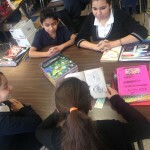 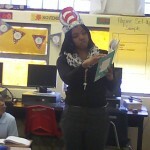 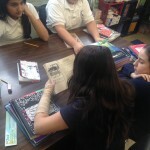 Students and staff engaged in the many works written by Dr. Seuss. 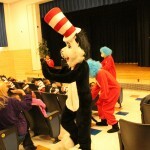 It was a memorable and exciting day! 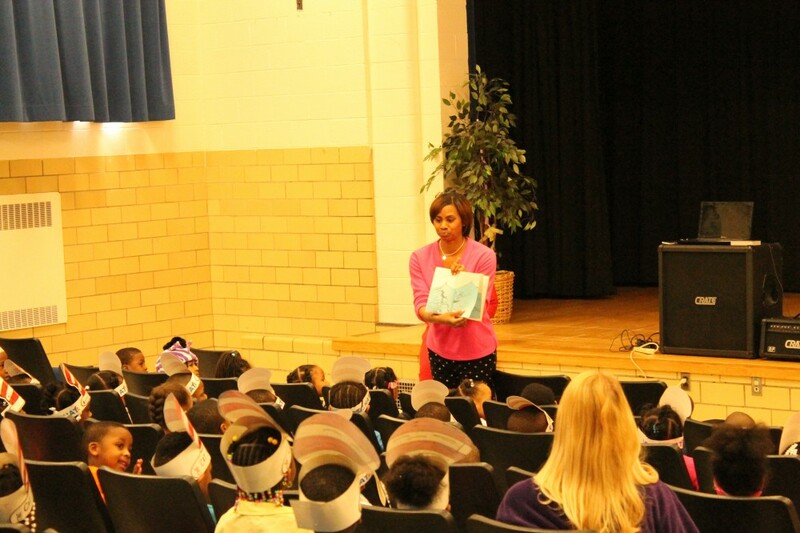 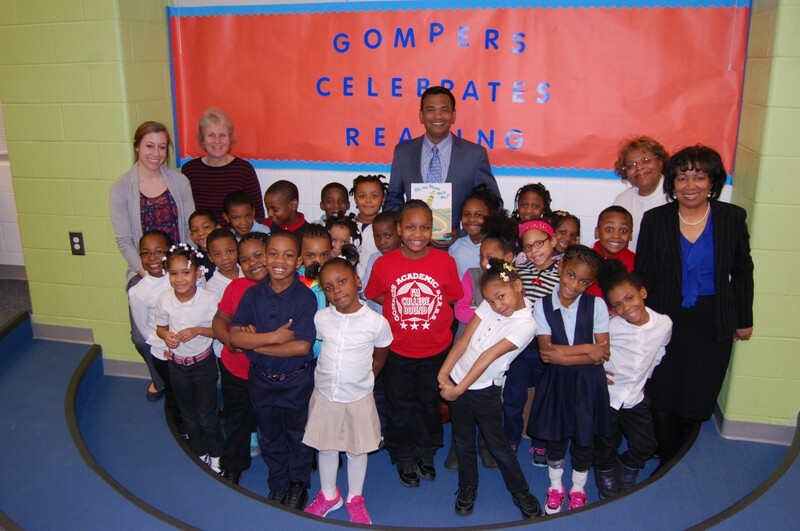 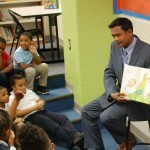 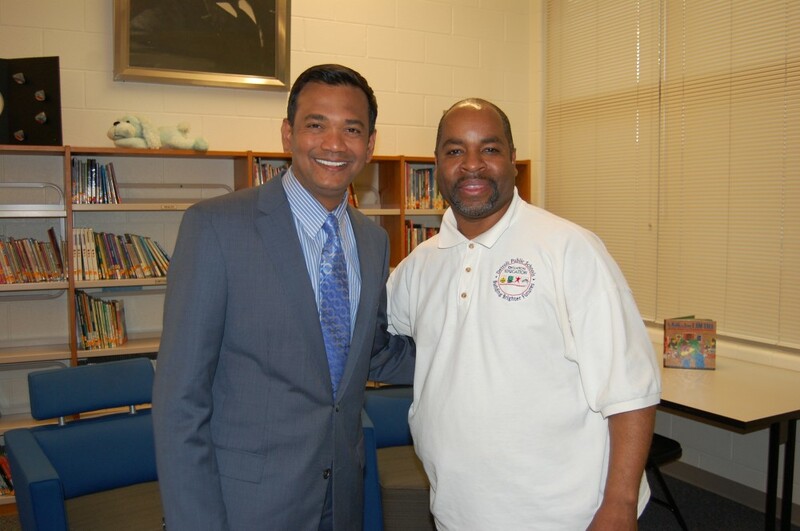 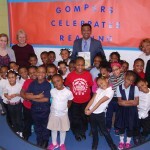 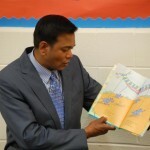 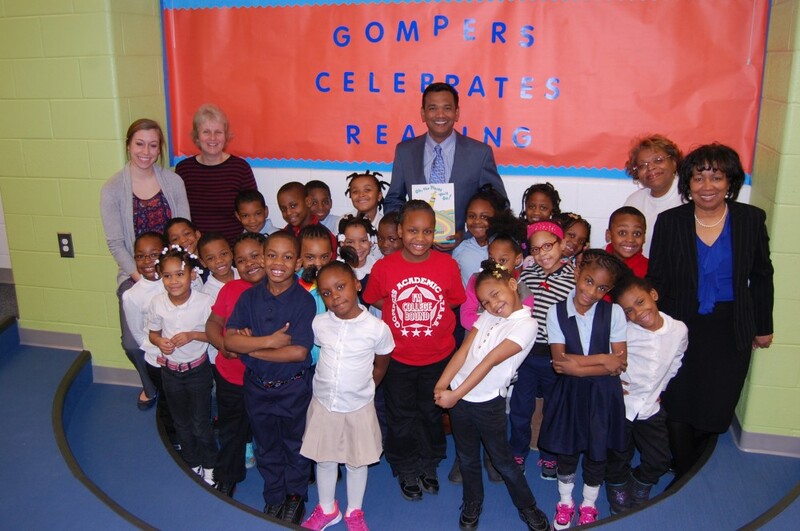 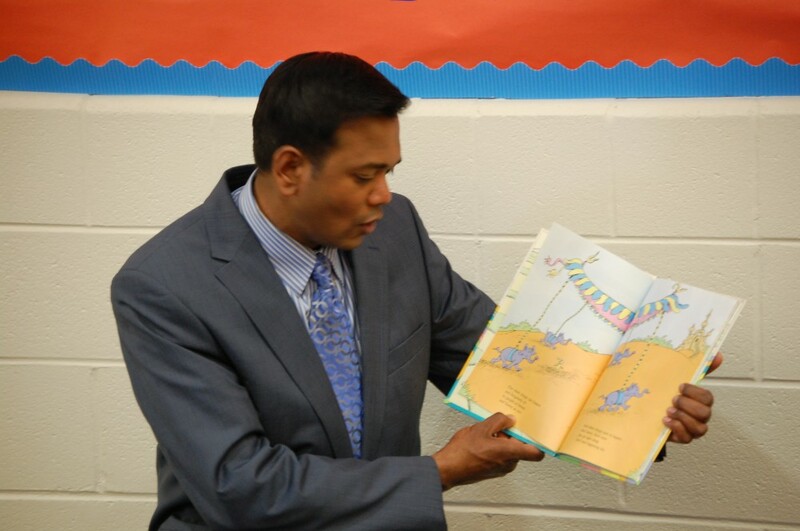 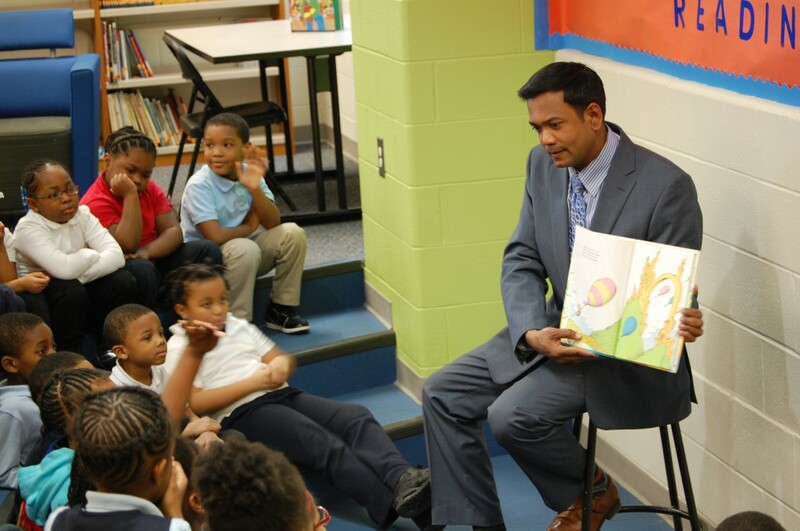 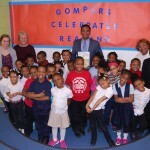 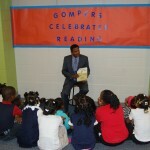 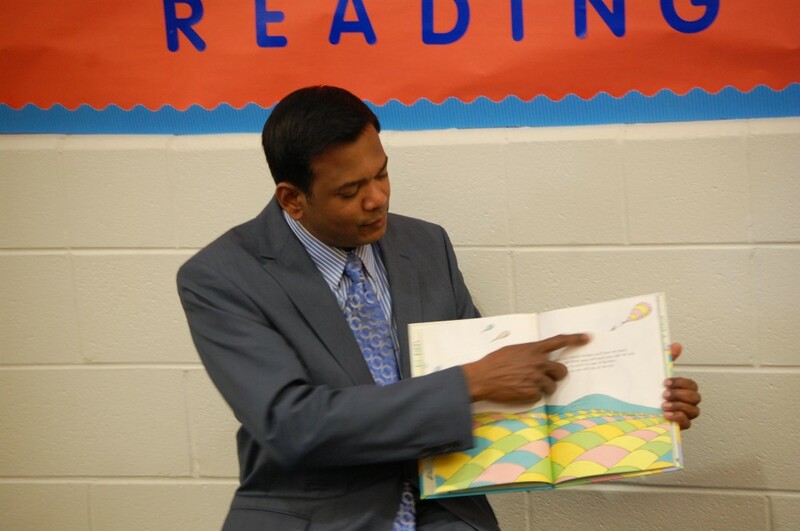 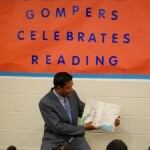 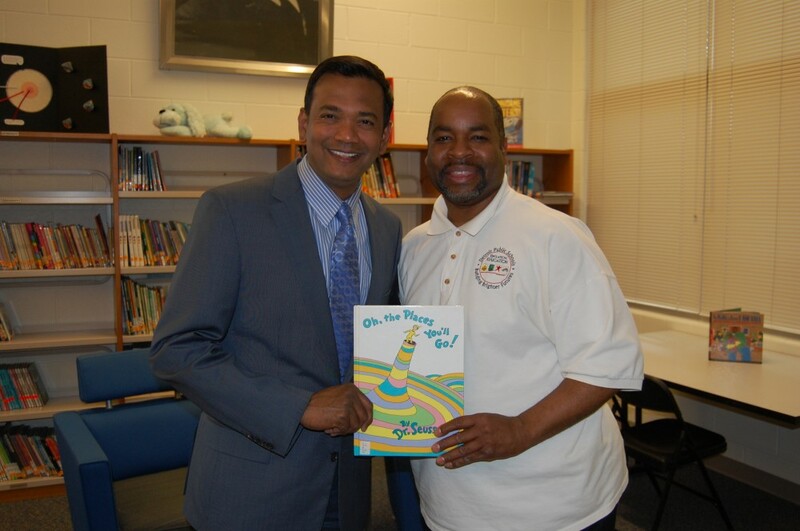 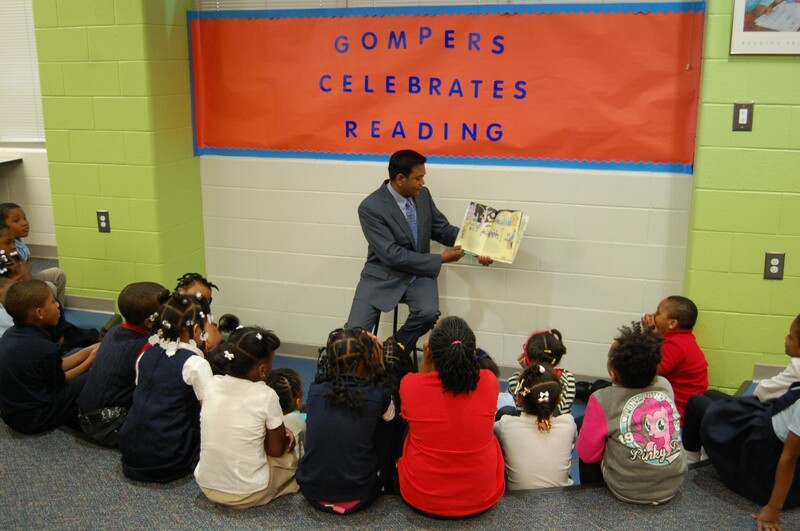 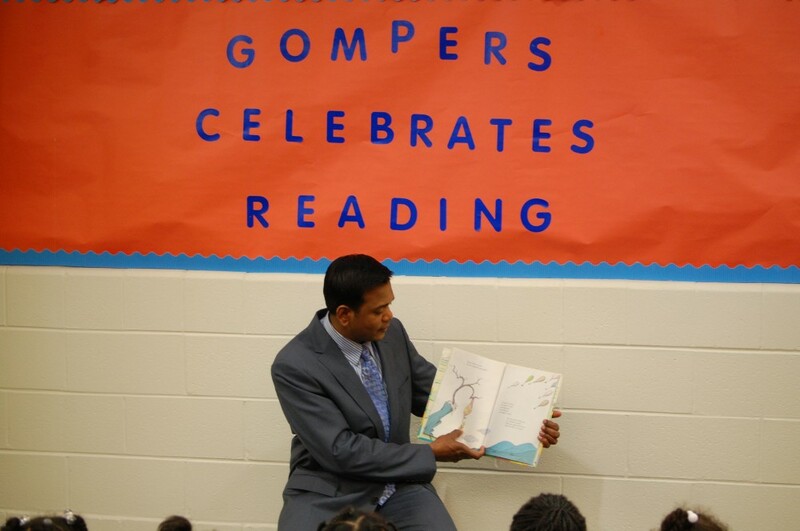 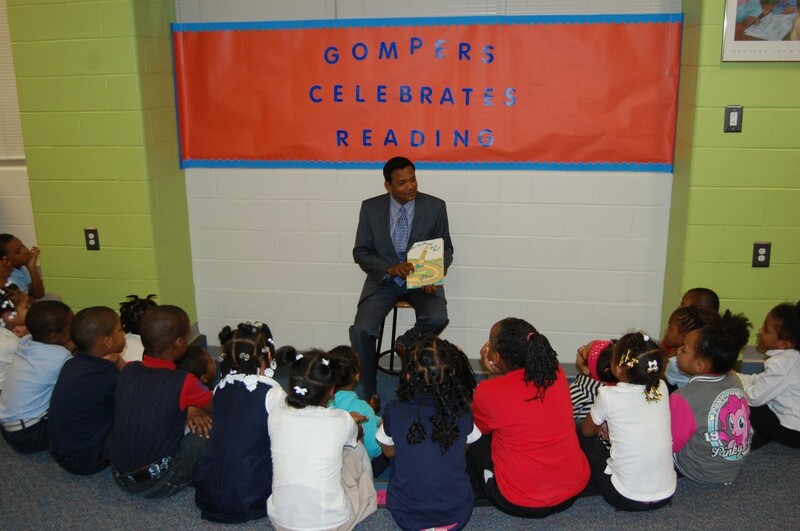 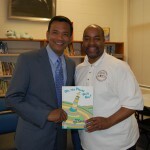 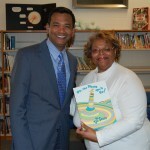 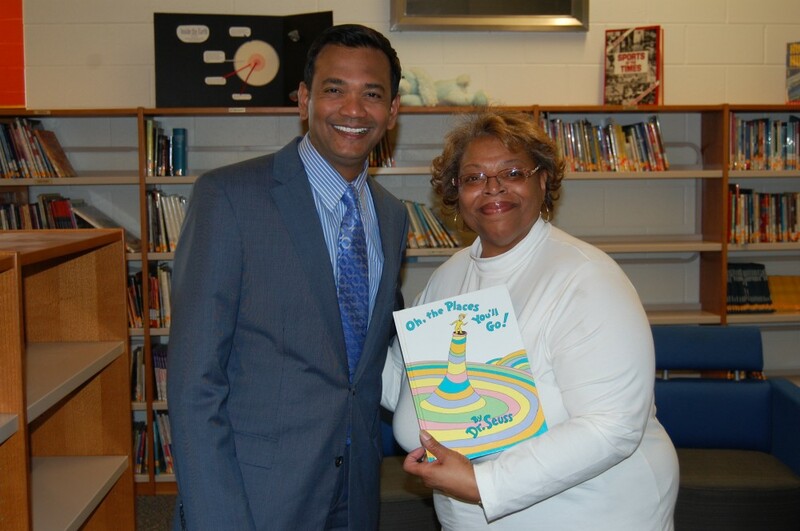 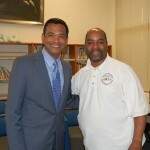 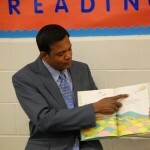 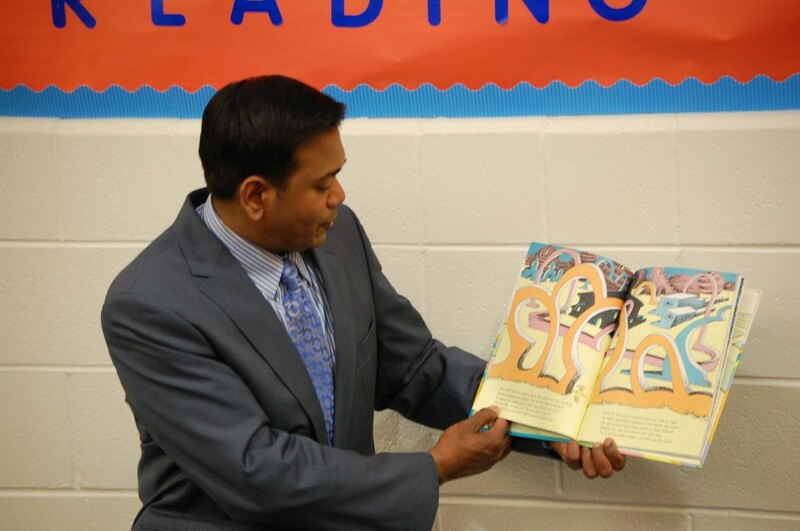 Fox 2 Reporter and Co-Anchor Roop Raj visited Gompers Elementary-Middle School and read Dr. Seuss’ “Oh, The Places You’ll Go!” to the students. 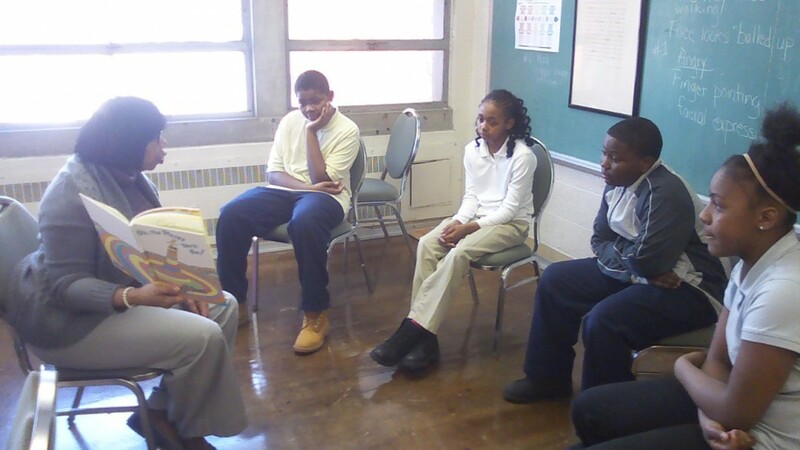 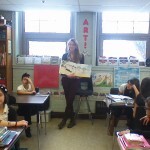 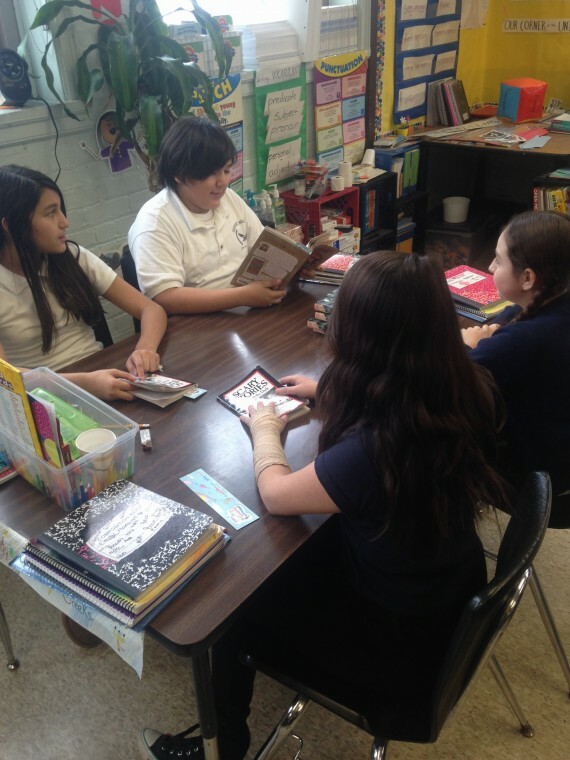 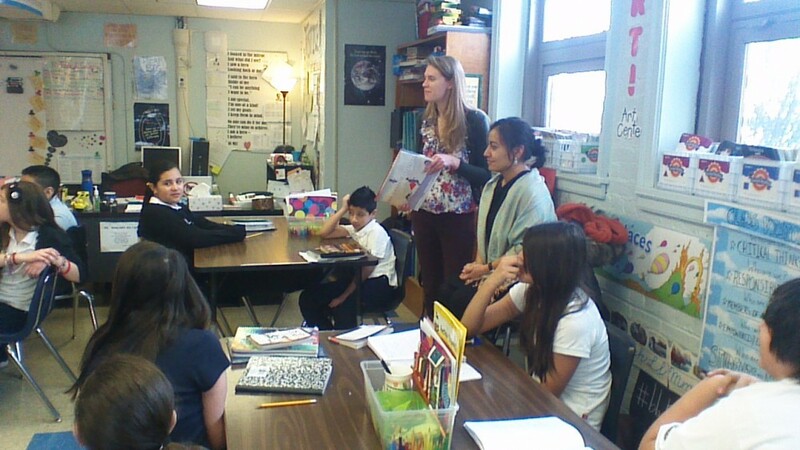 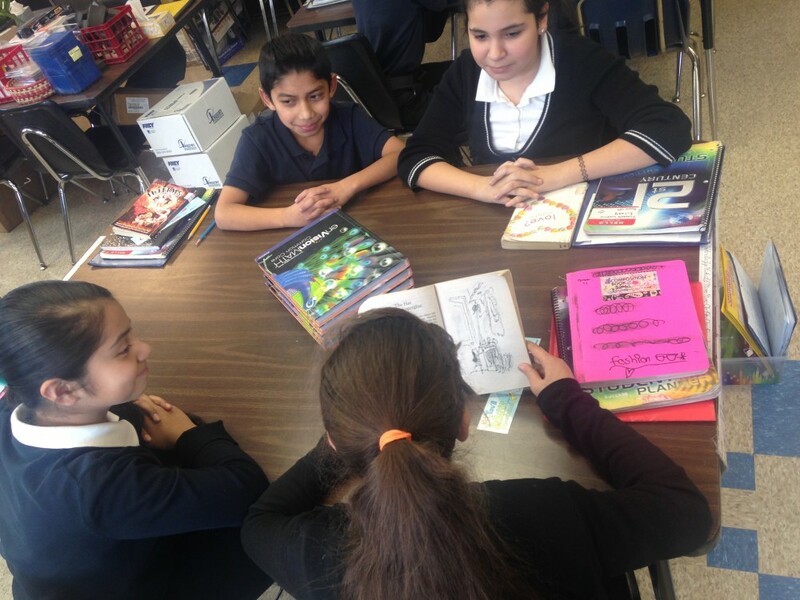 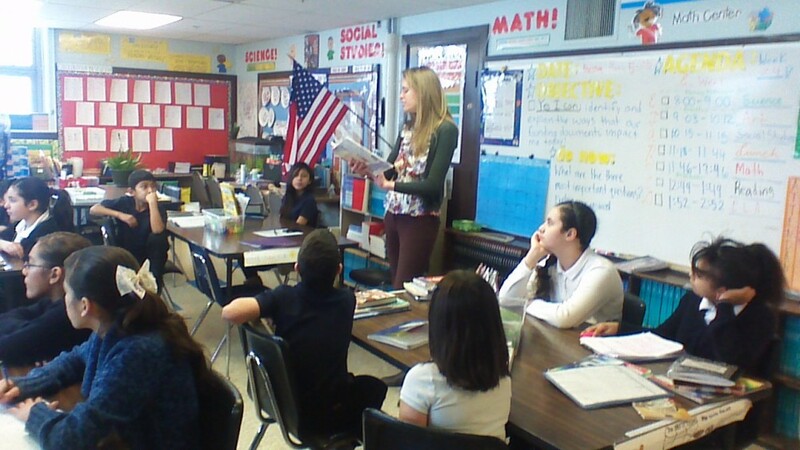 At Clippert Academy, students welcomed Detroit City Council Member Raquel Castañeda-López to come and read an adaptation of Leo Tolstoy’s The Three Questions. 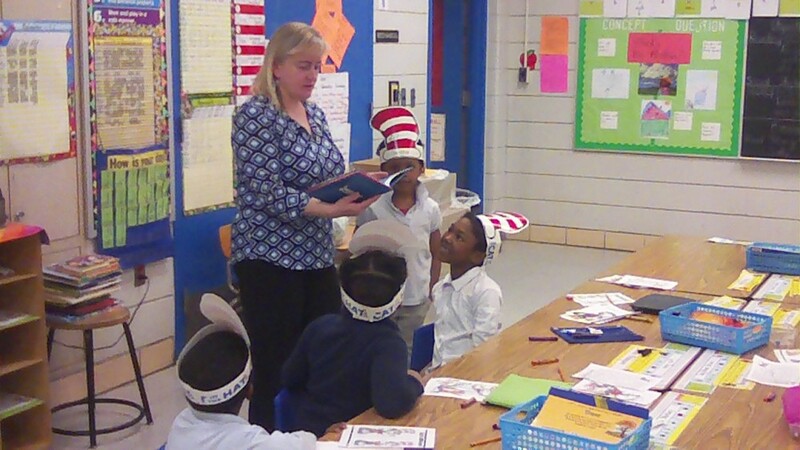 Thanks to my phenomenal Reading Recovery Teachers and supporting staff, Neinas Elementary School students were able to take a trip to Hawaii in celebration of March is Reading Month! 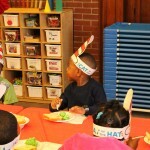 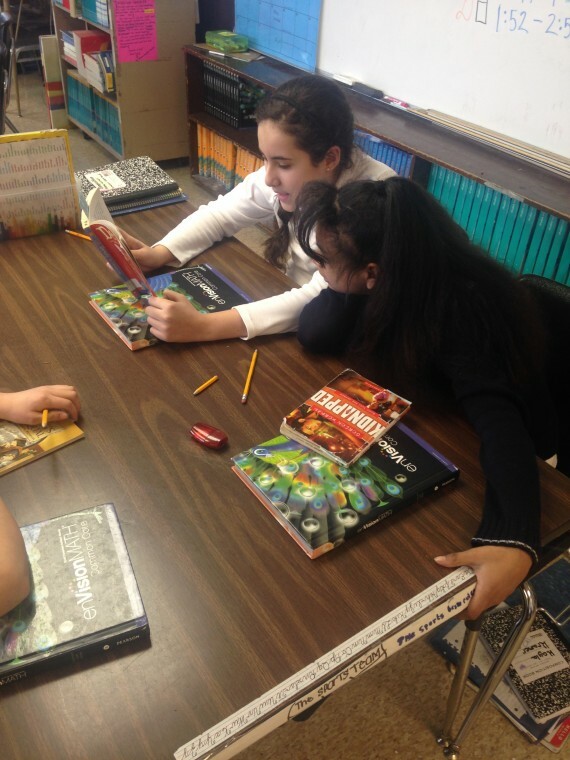 Students participated in a variety of tropical-themed educational games and activities. 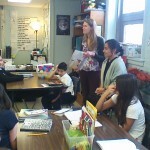 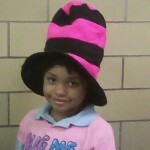 This entry was posted in News and Press Releases, Student Showcase and tagged 057, 065, 270, 333.